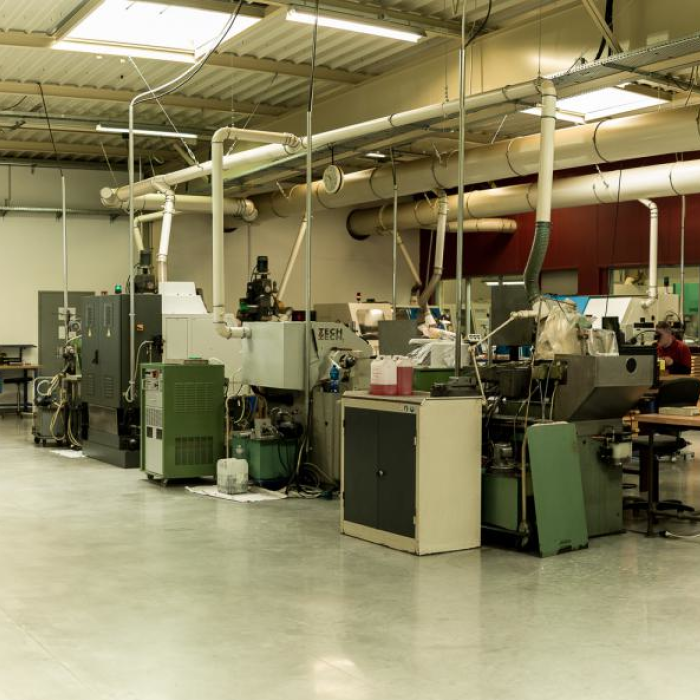 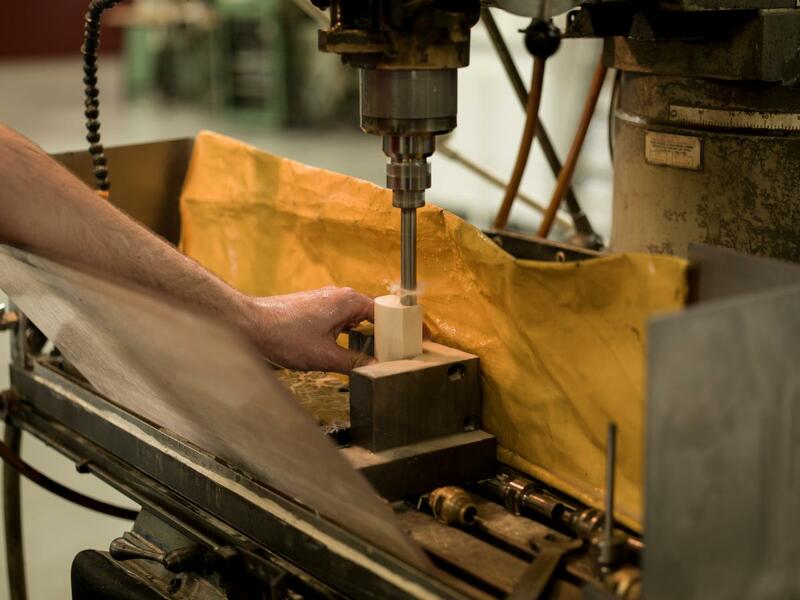 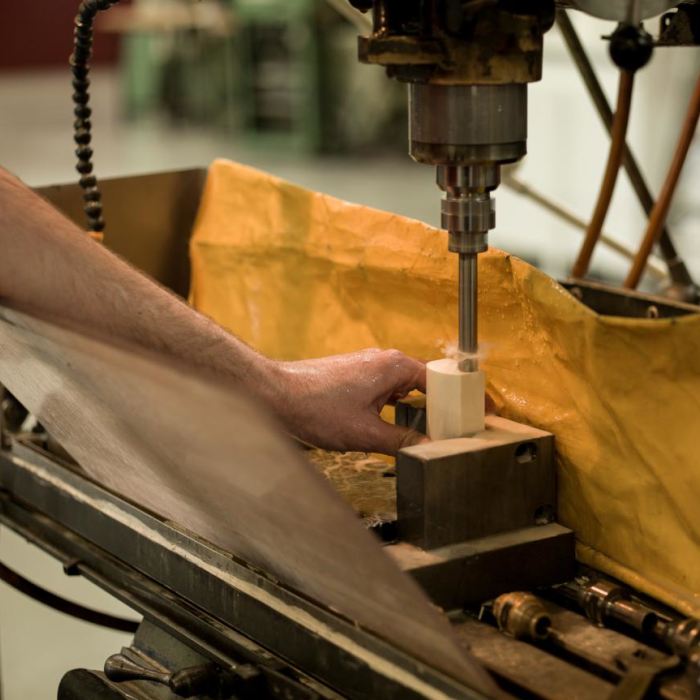 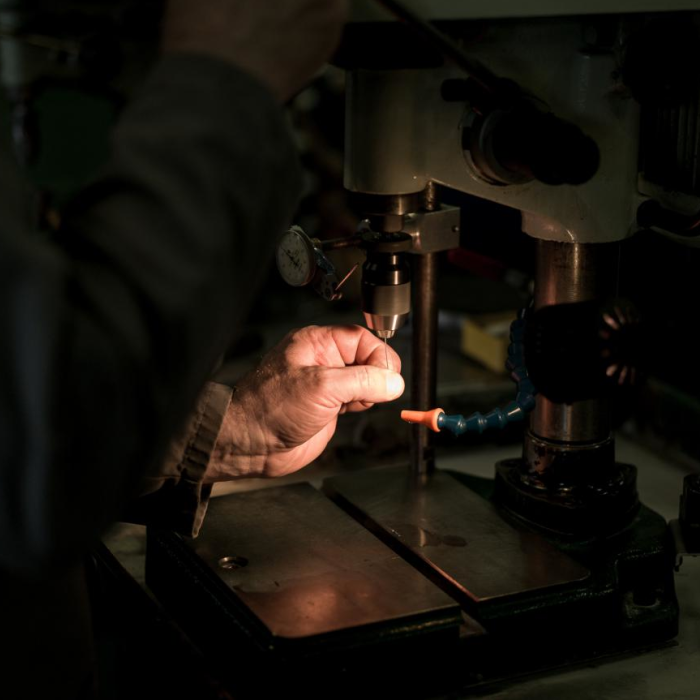 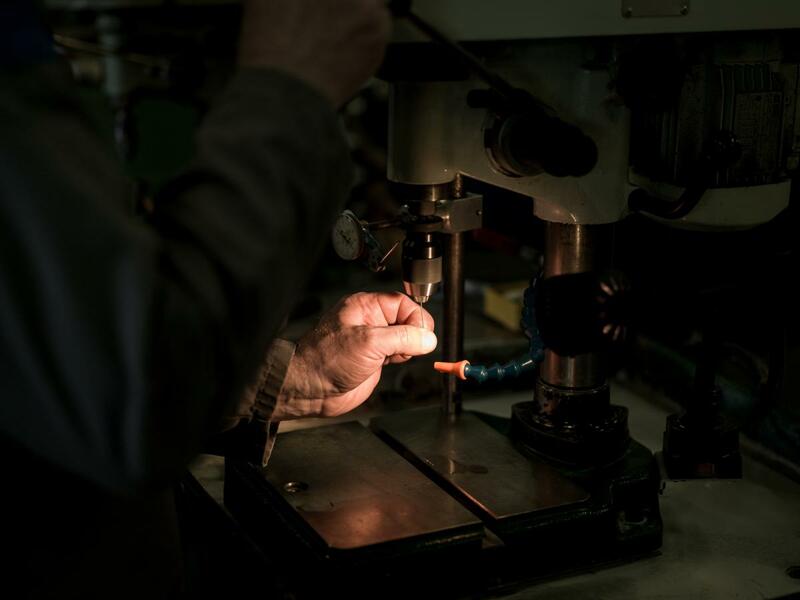 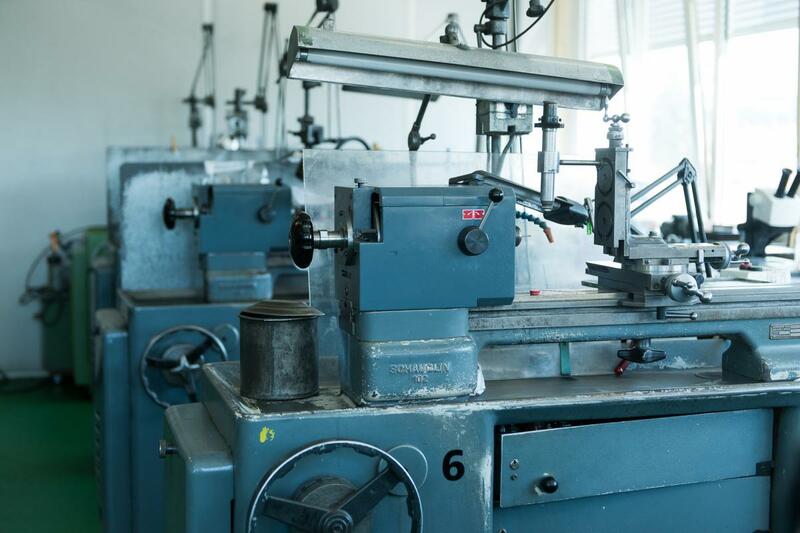 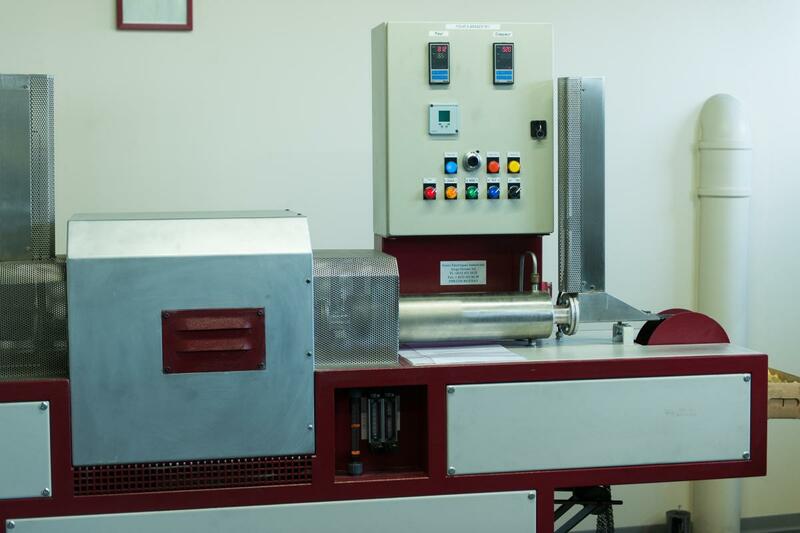 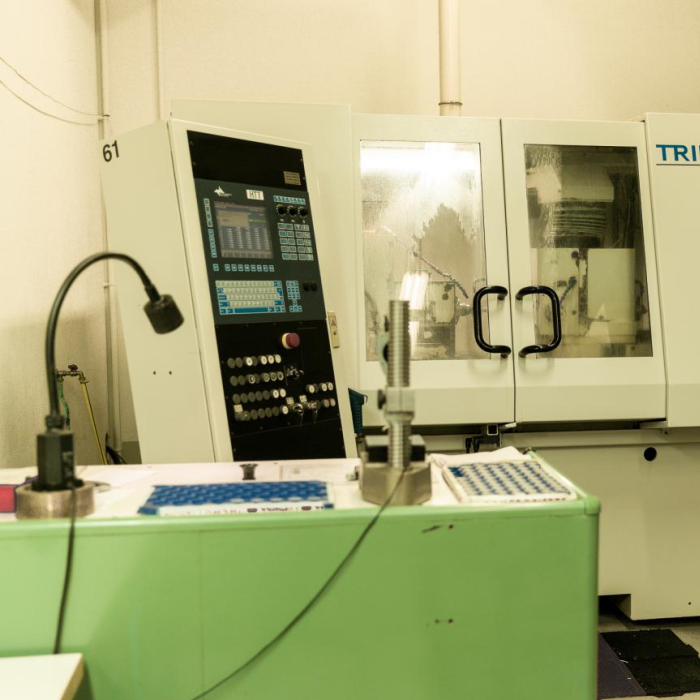 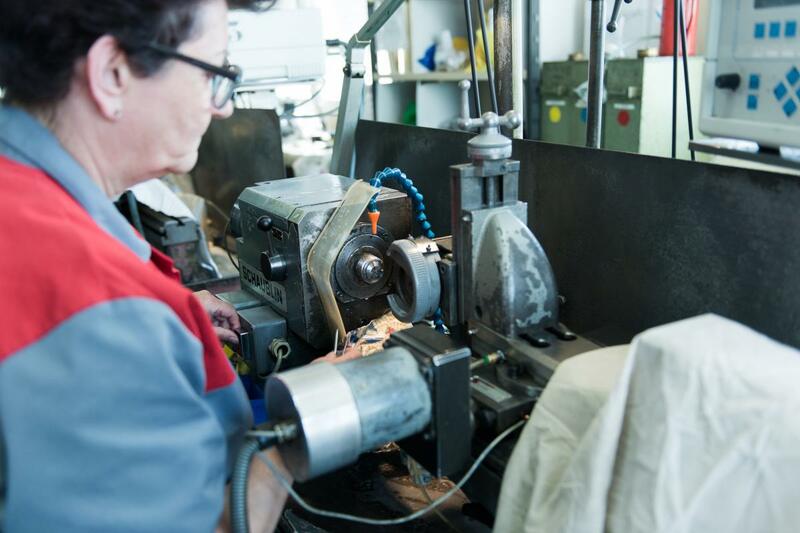 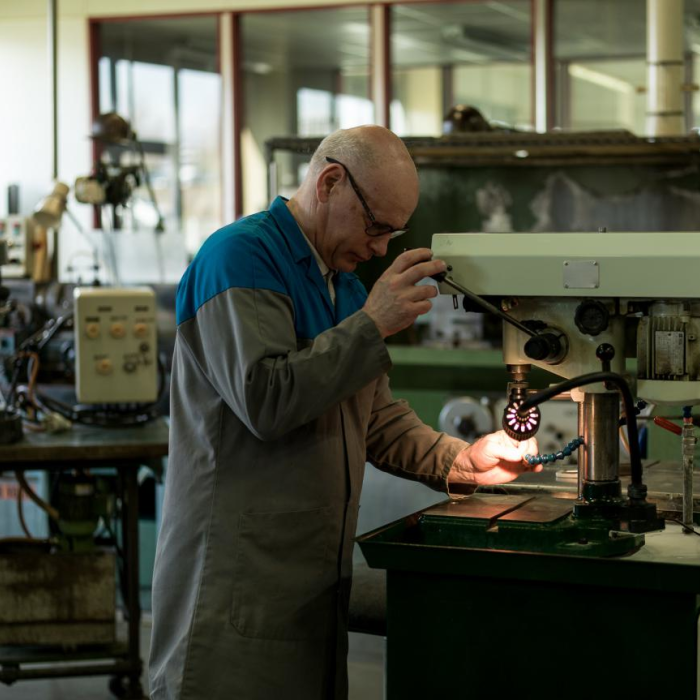 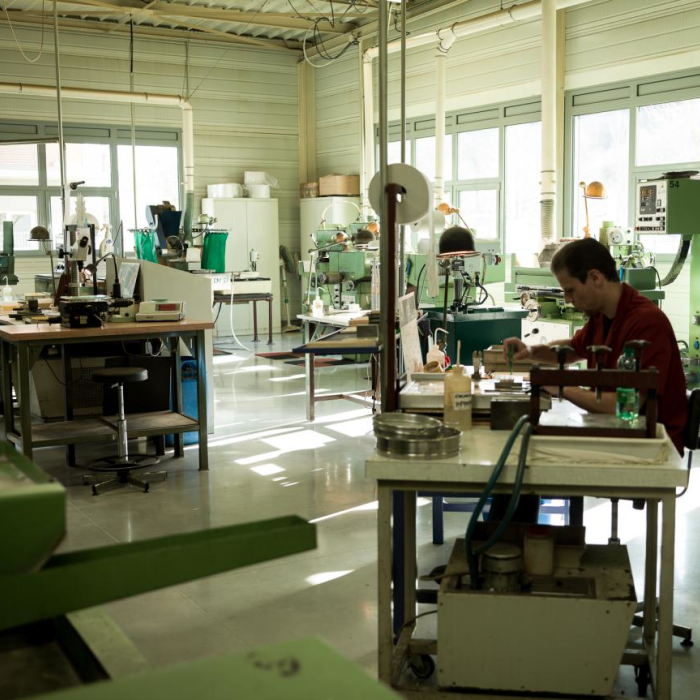 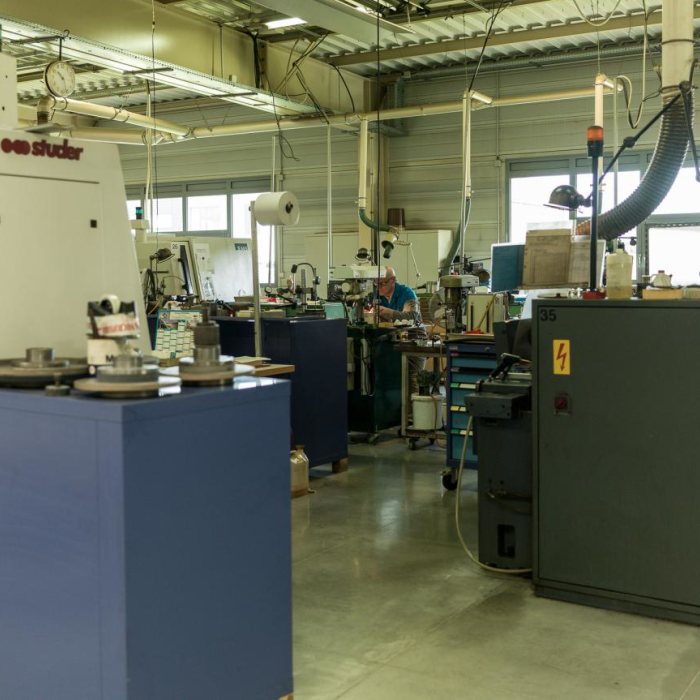 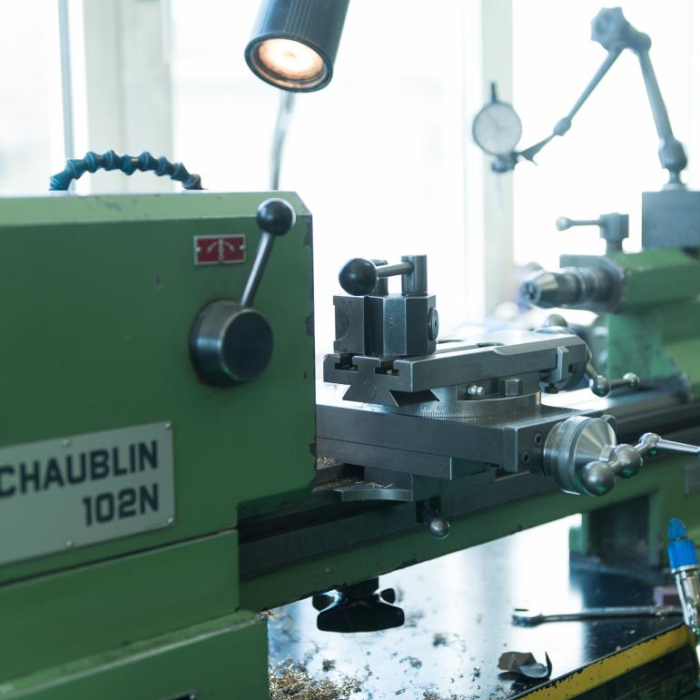 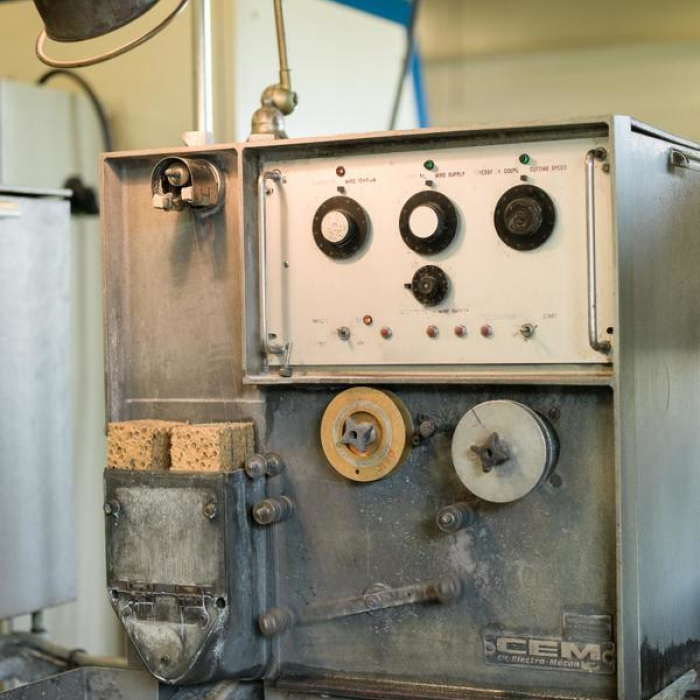 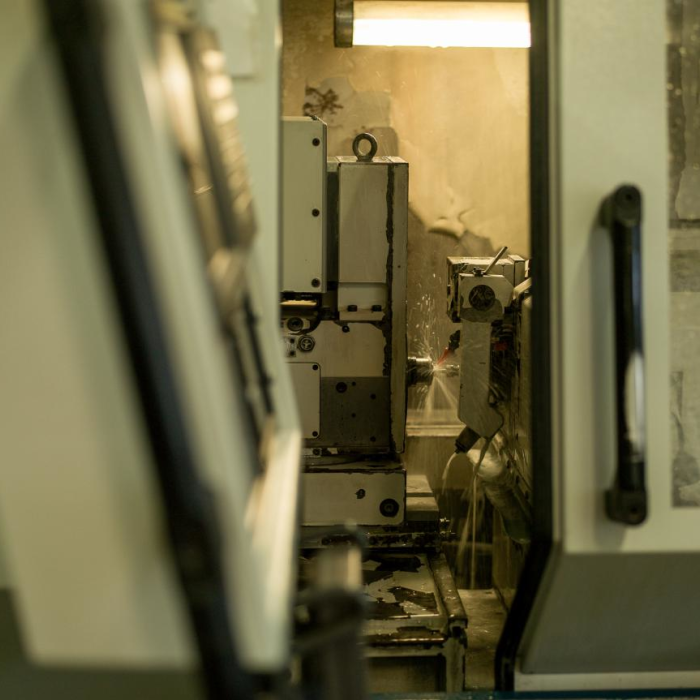 Our bar-turning and CNC department has about sixty machines whose capacities vary for bar diameters between 1 and 32. 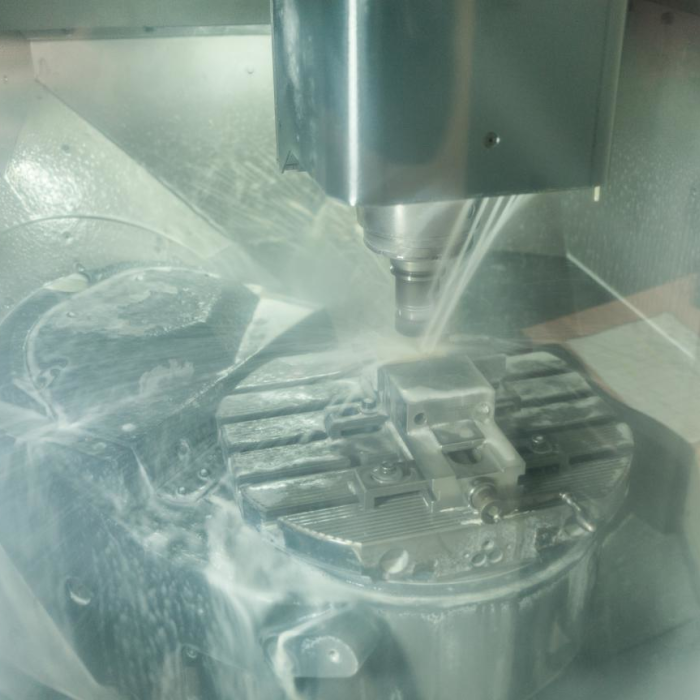 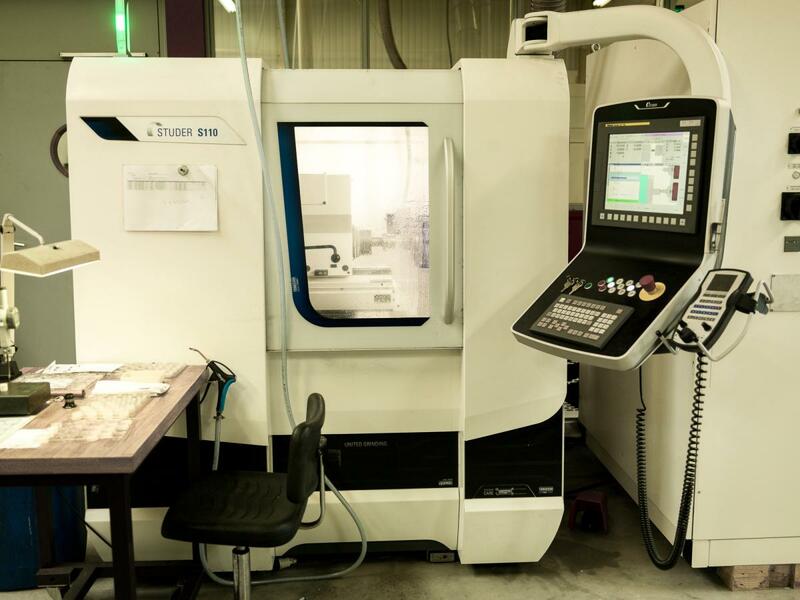 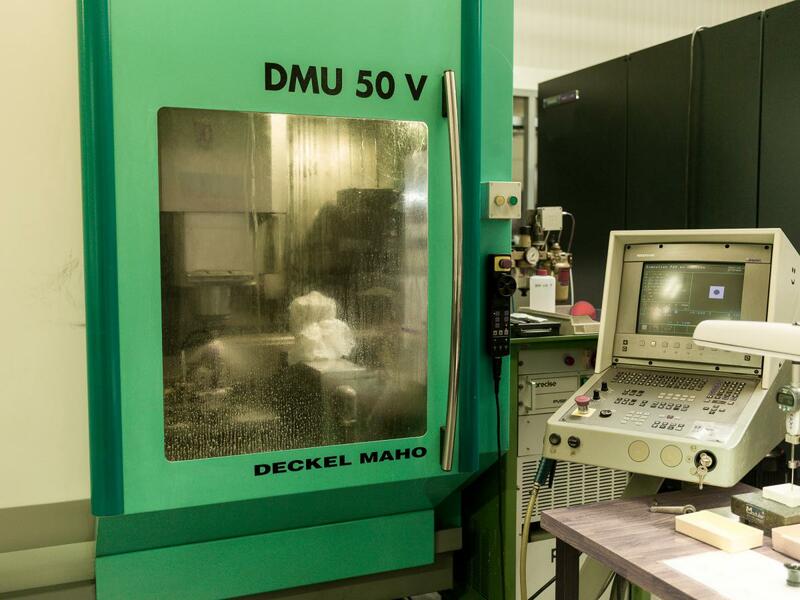 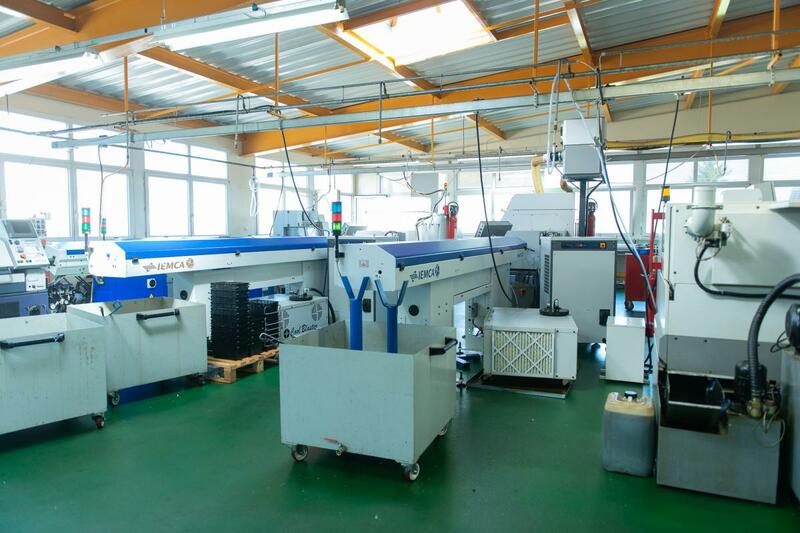 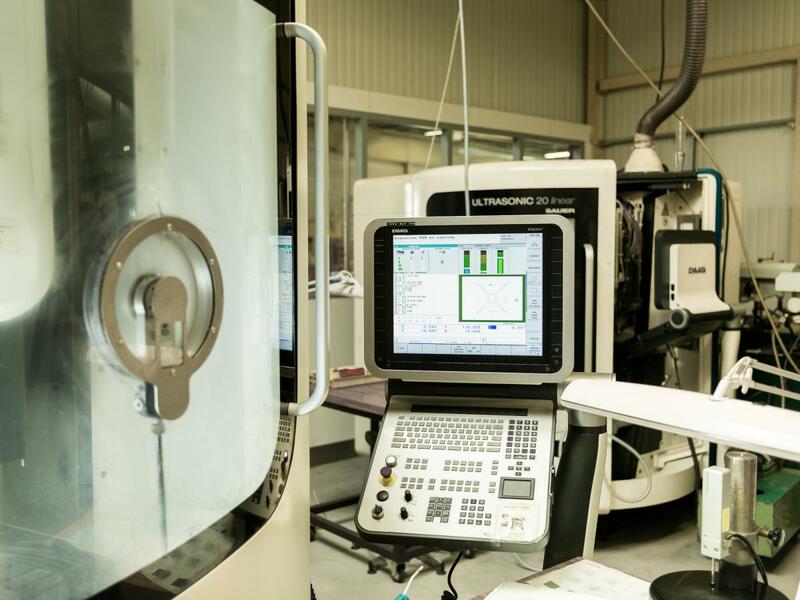 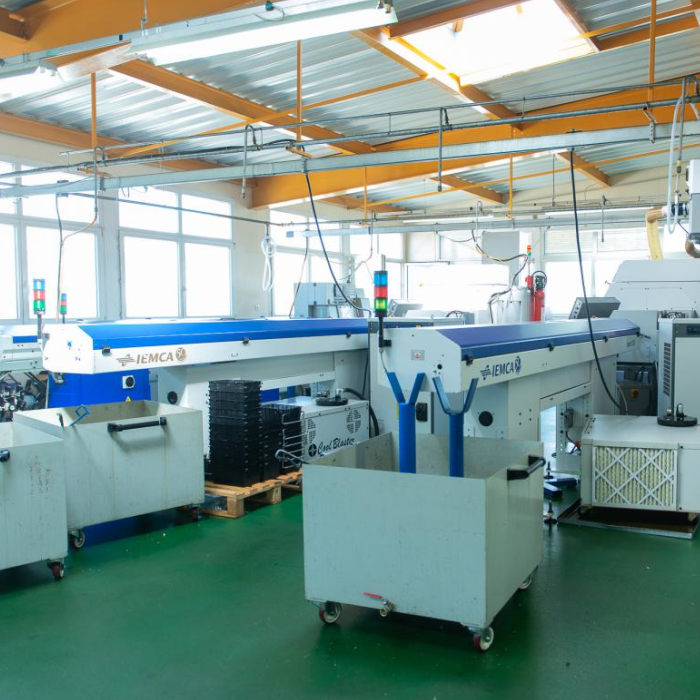 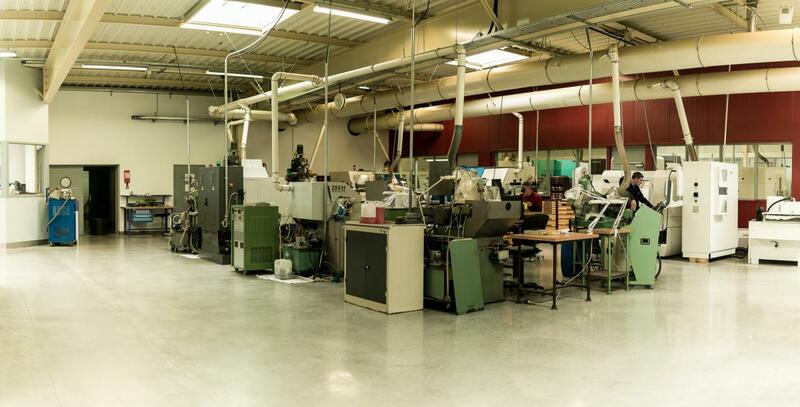 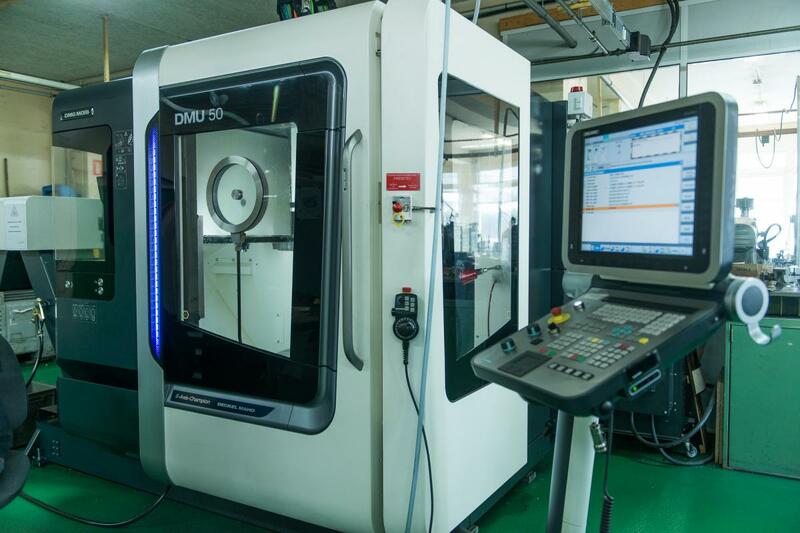 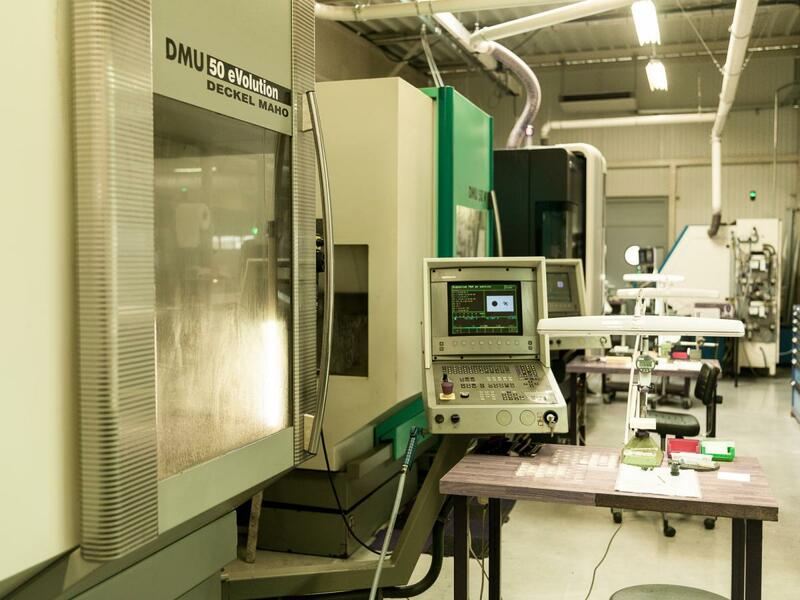 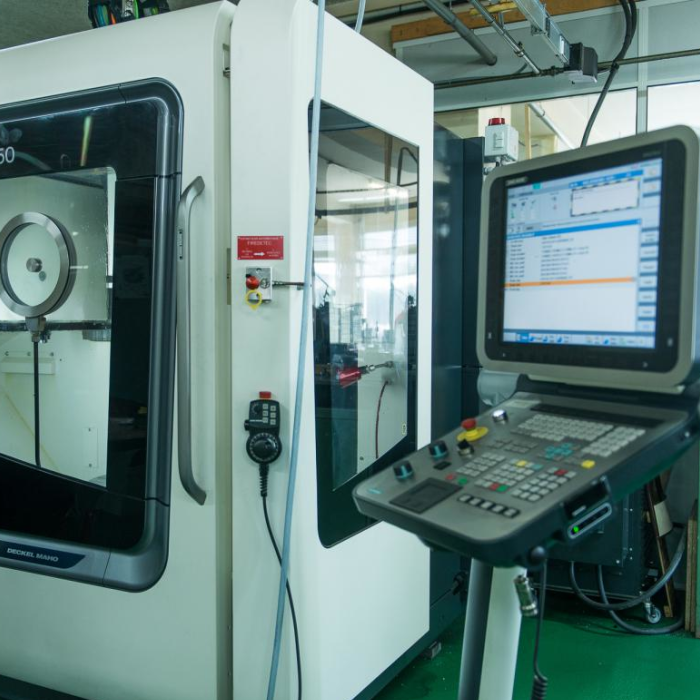 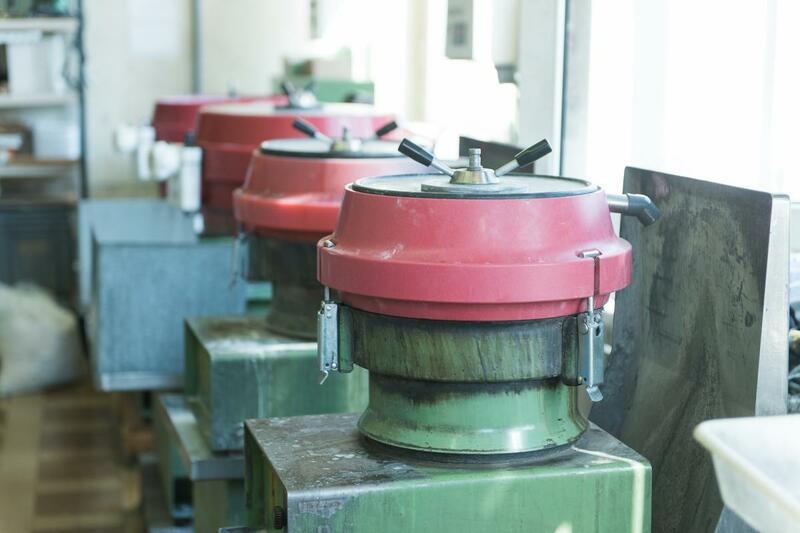 Our machines have between 4 and 5 axes for the machining of single parts, and up to 10 axes for very technical parts. 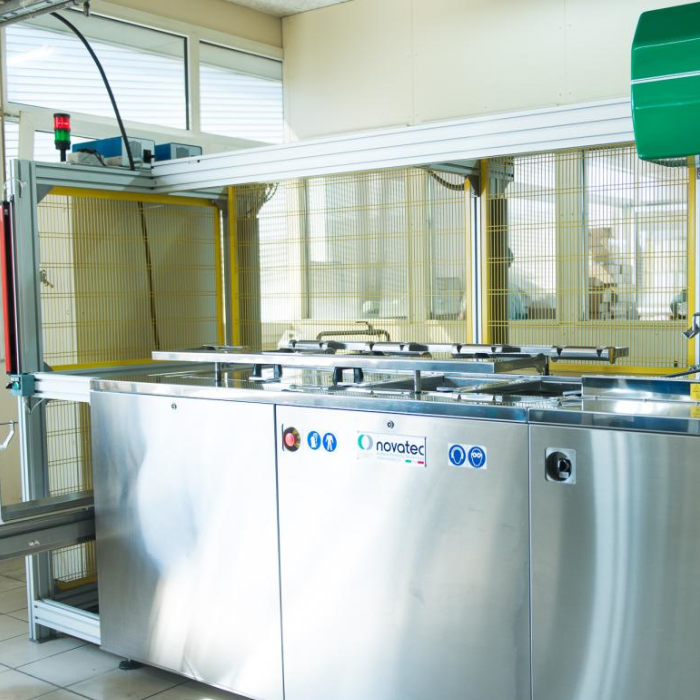 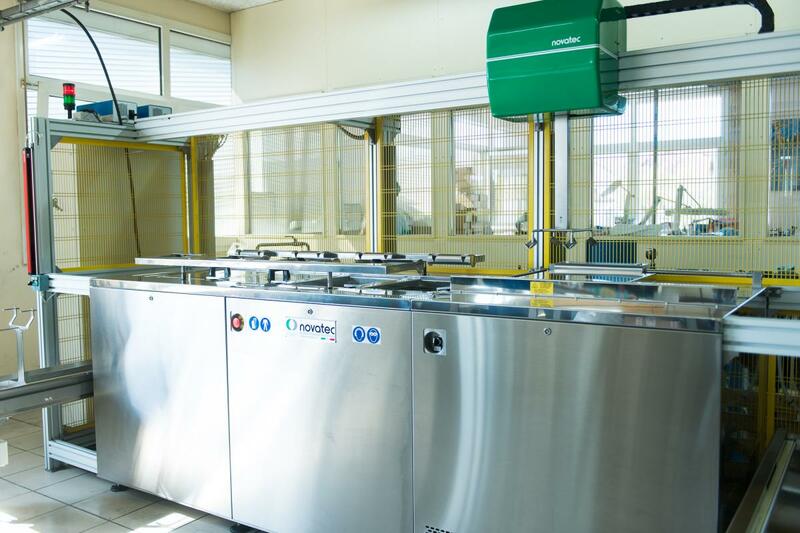 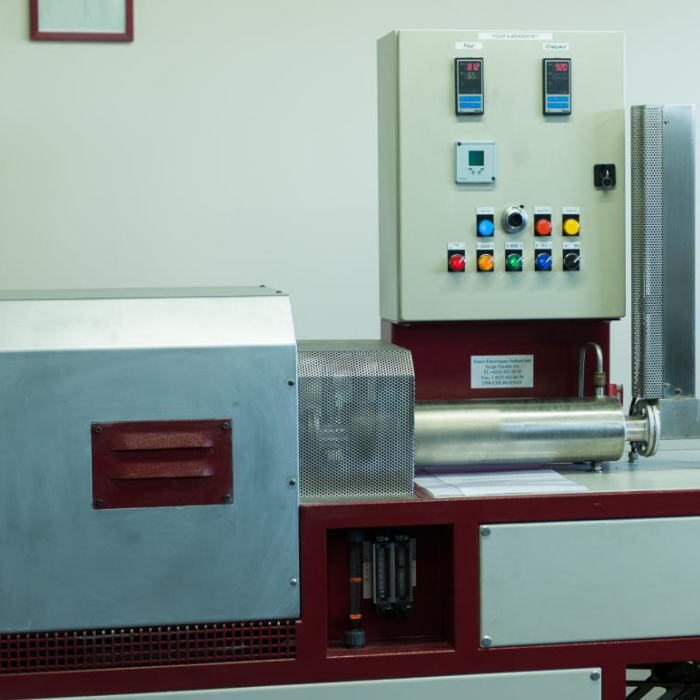 All our machines work with whole oil (without chlorine or sulphur which are prohibited in the medical field). 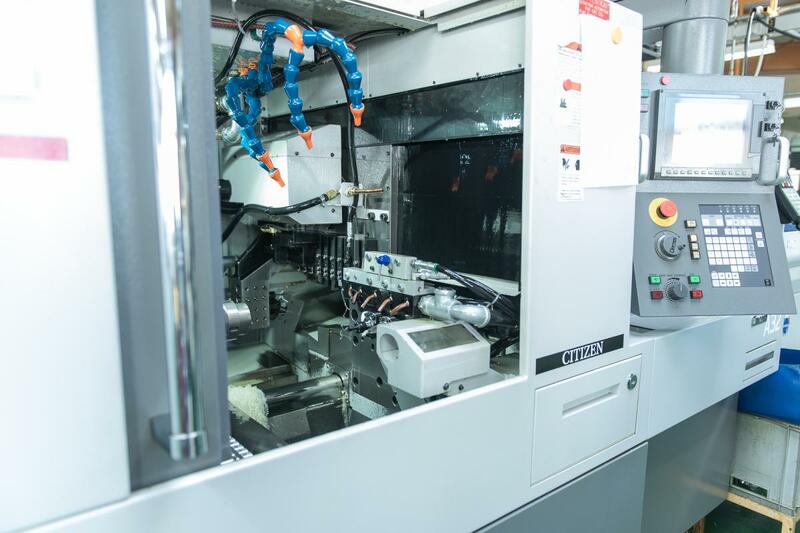 All our machines are equipped with bar feeders which allow 24/7 autonomy. 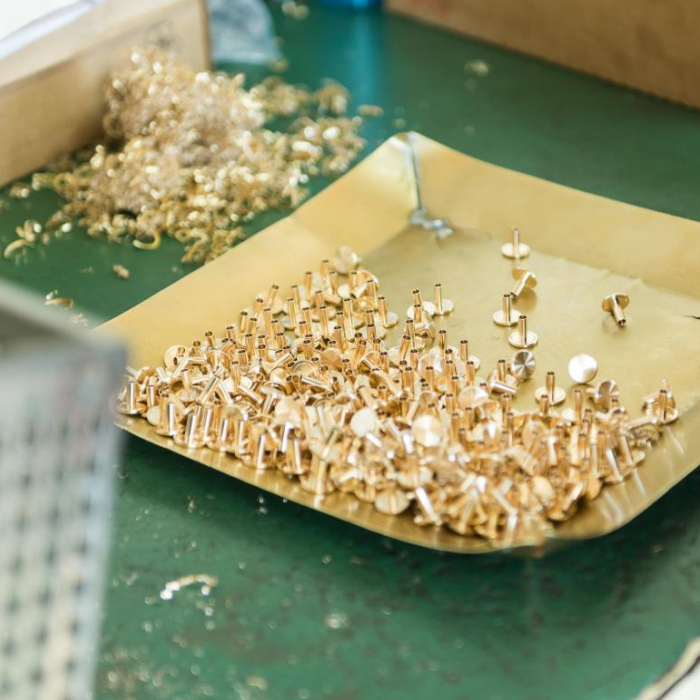 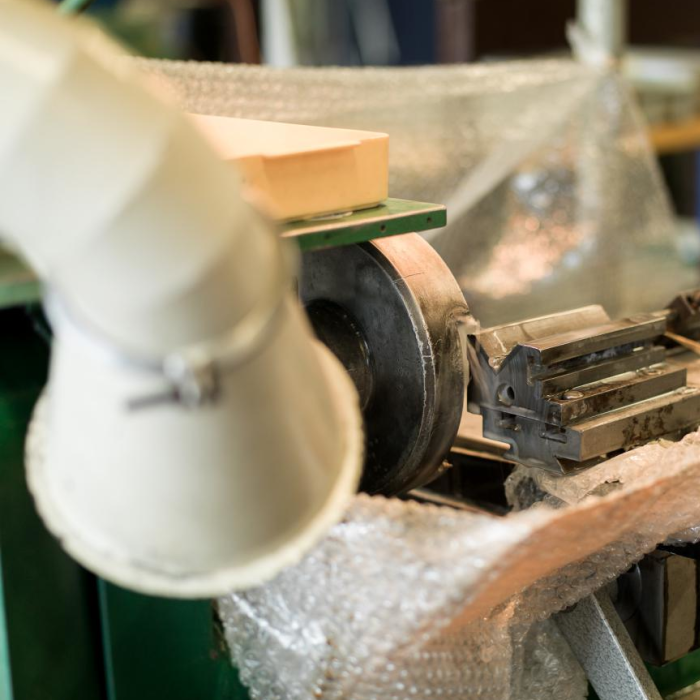 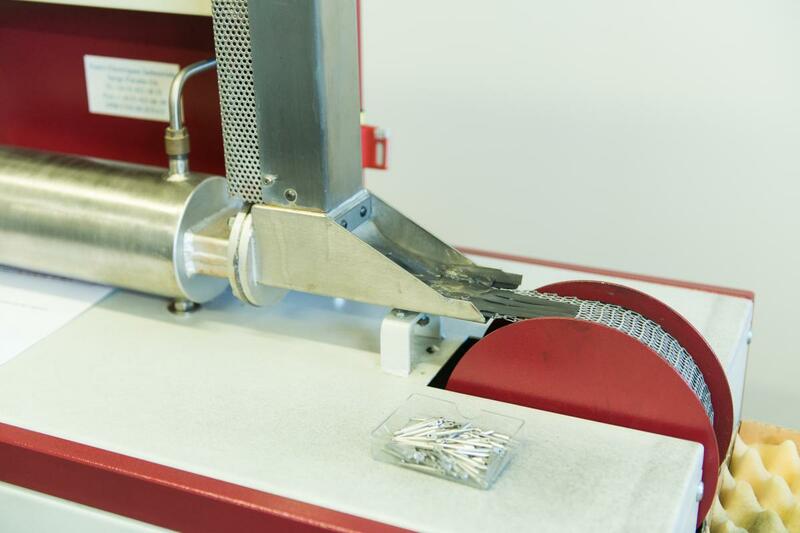 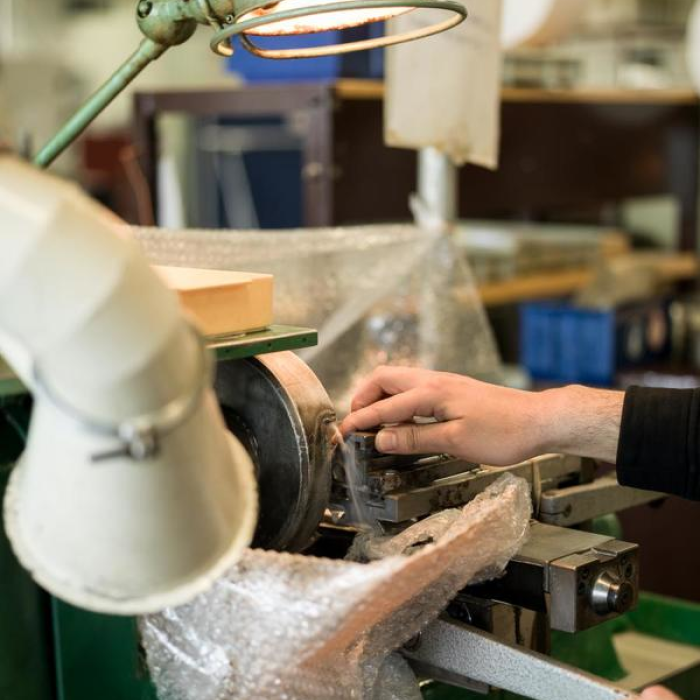 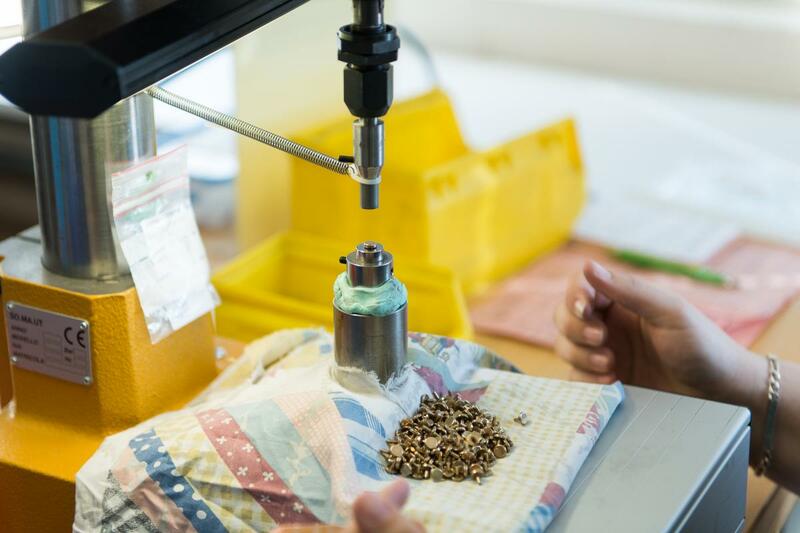 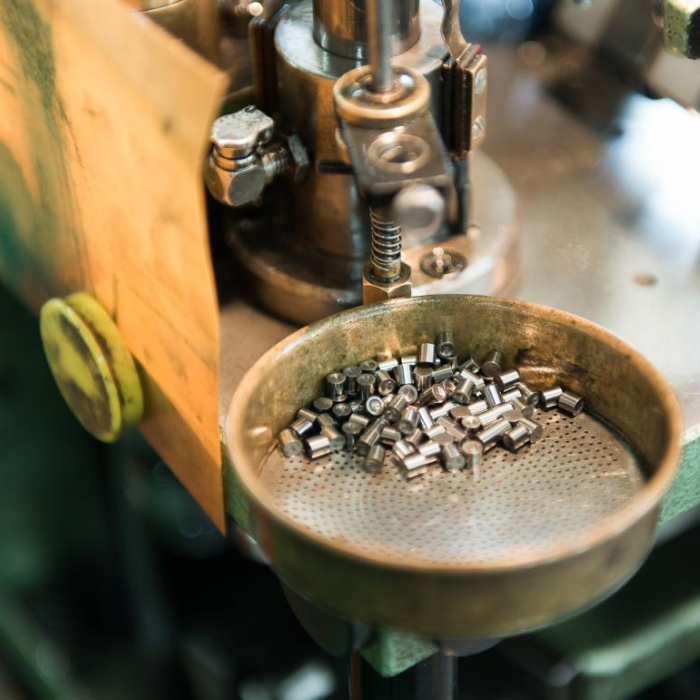 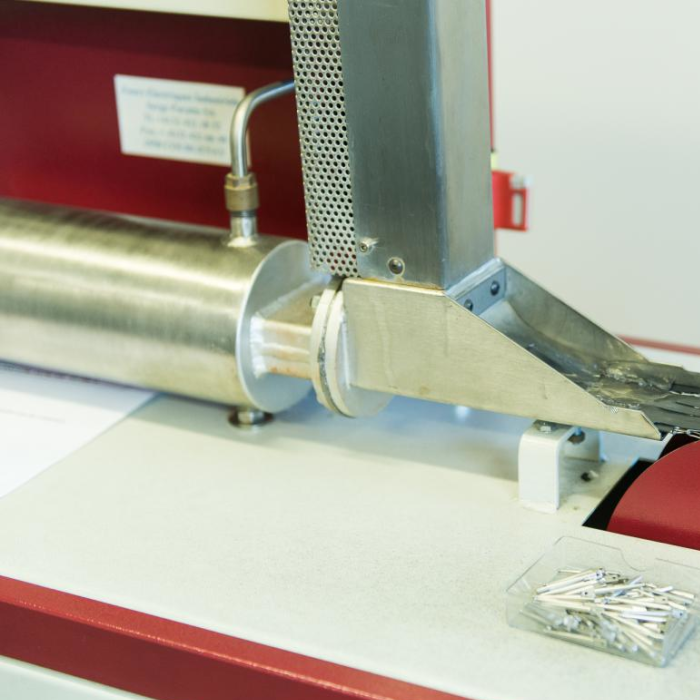 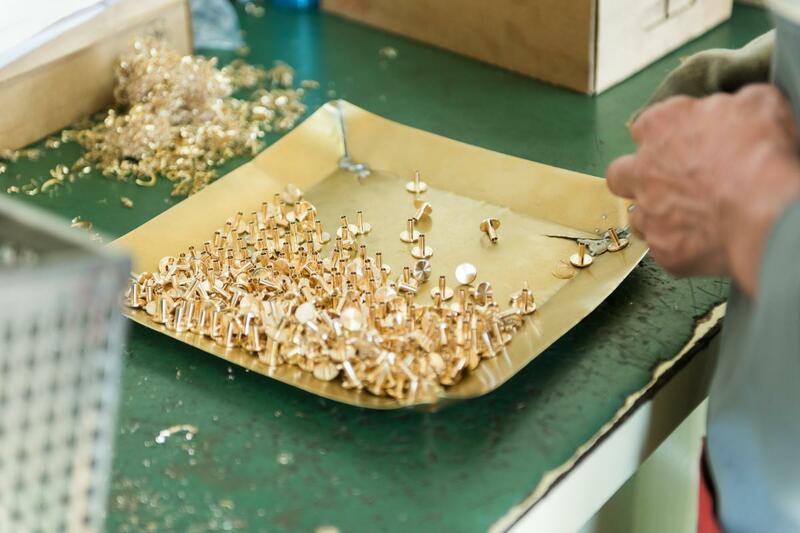 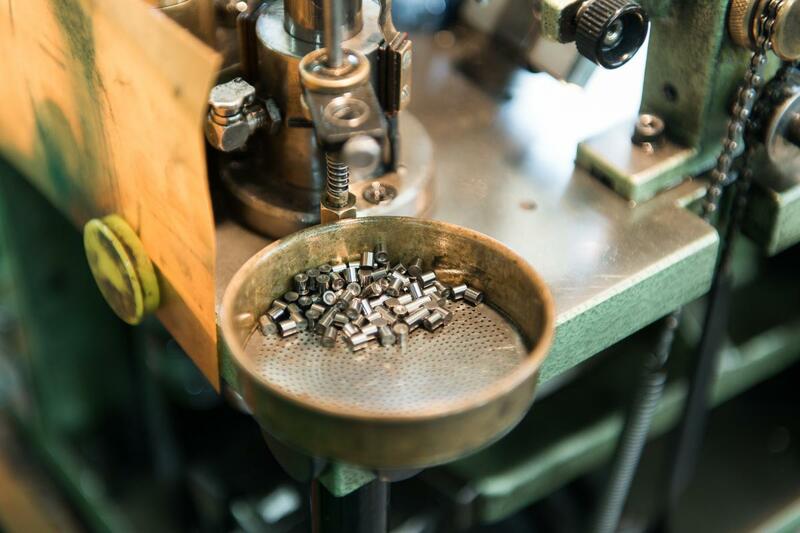 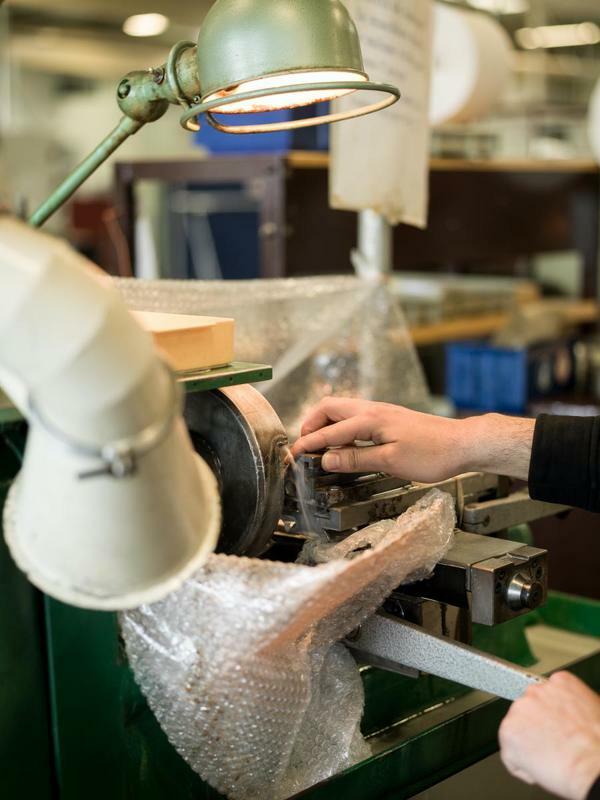 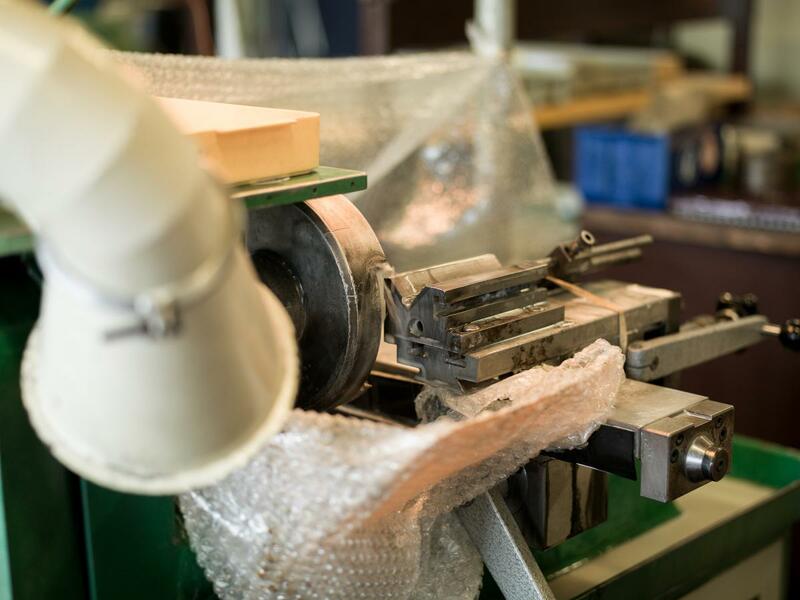 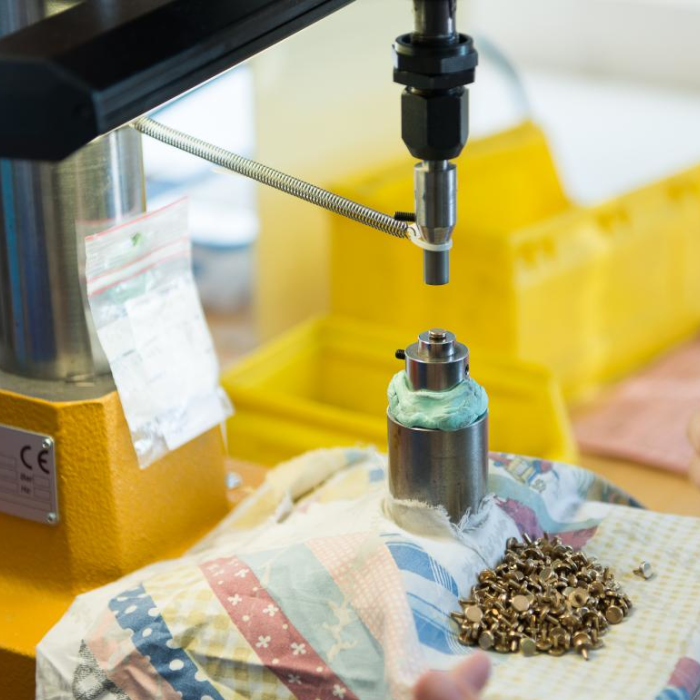 Finally, some of our machines are equipped with grippers for the removal of fragile parts. 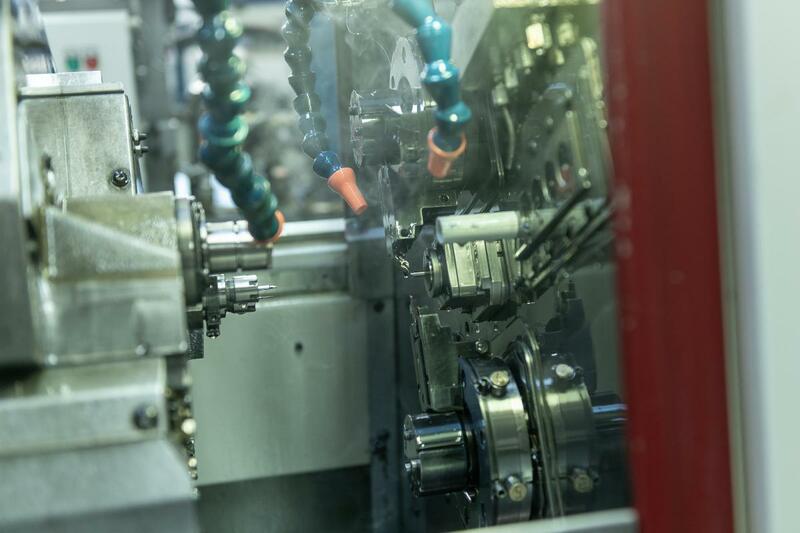 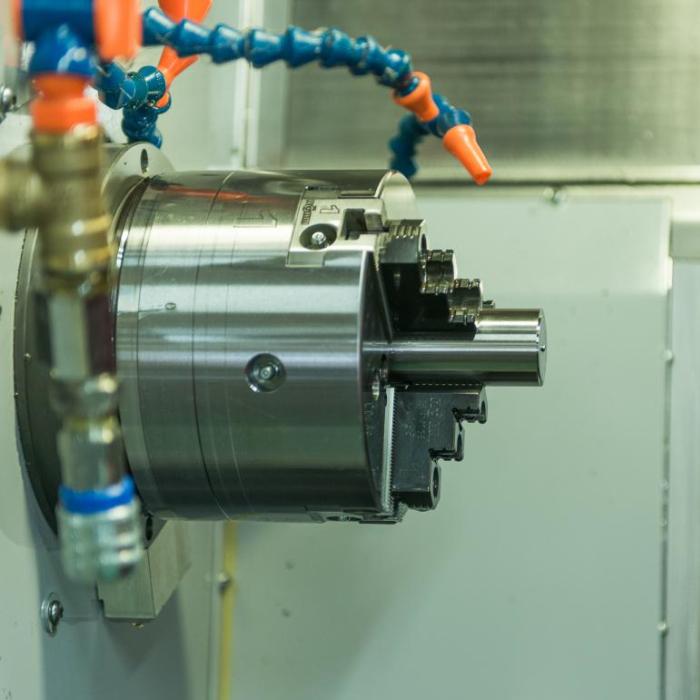 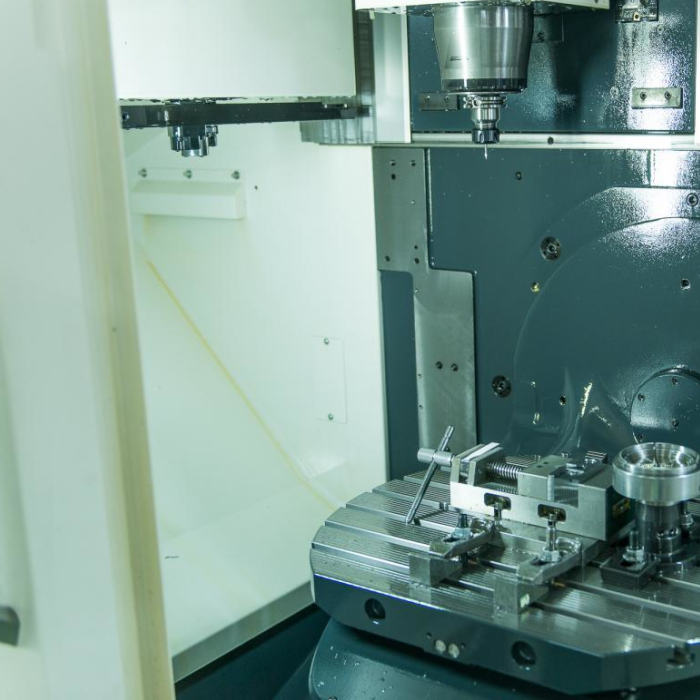 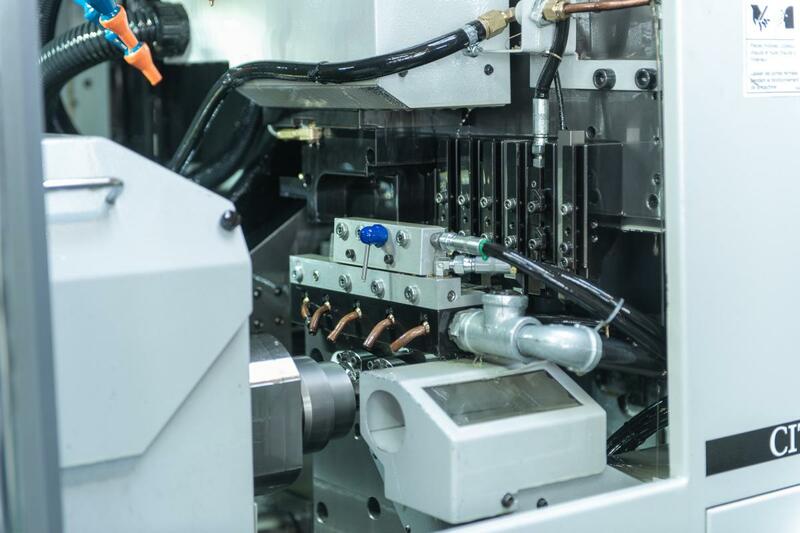 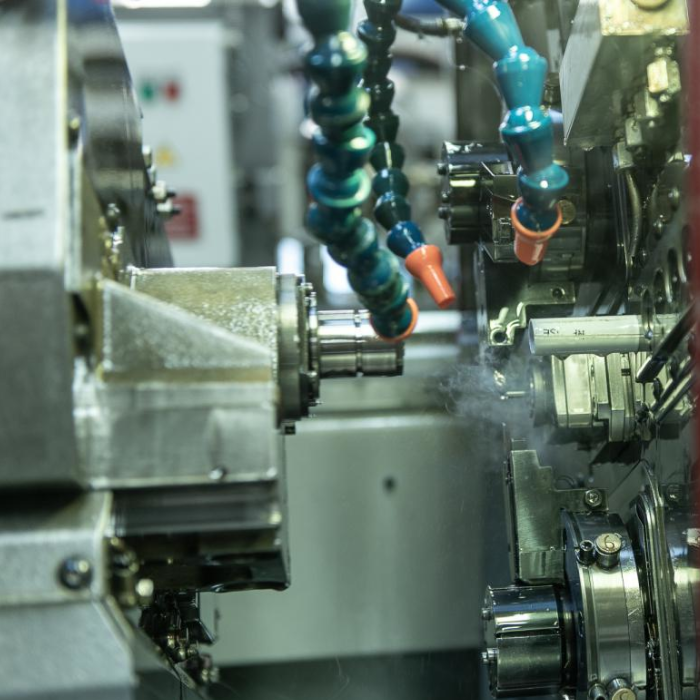 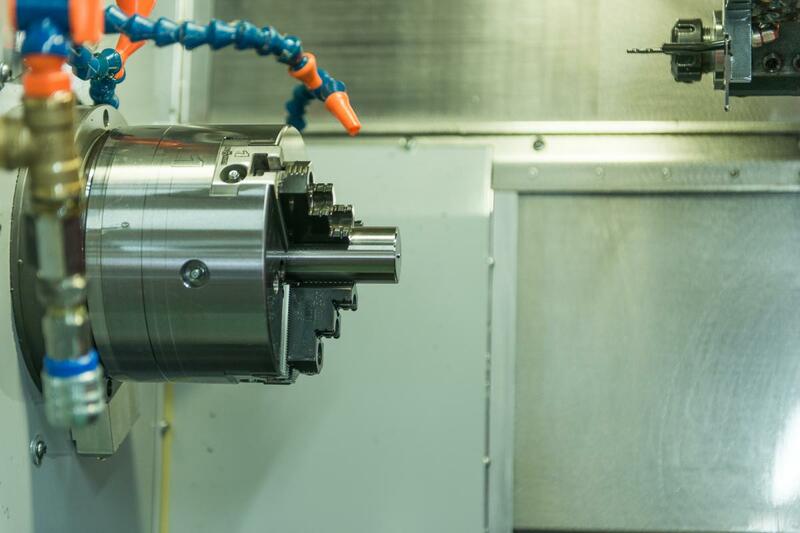 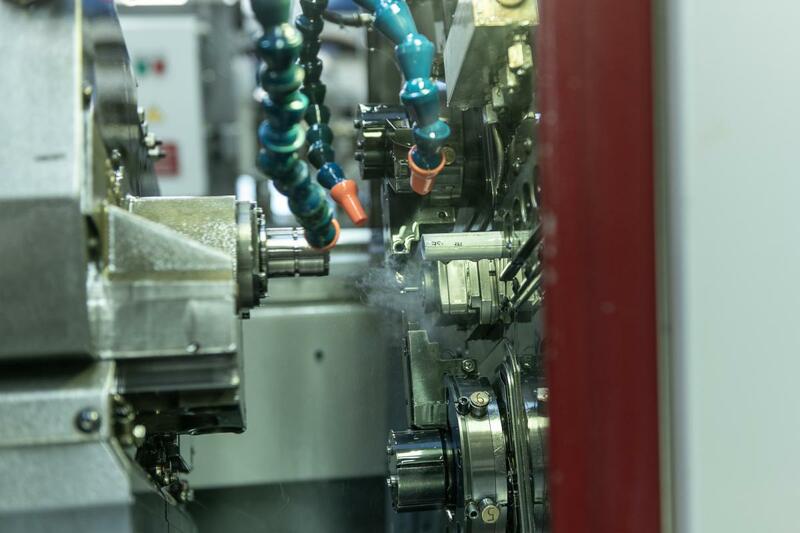 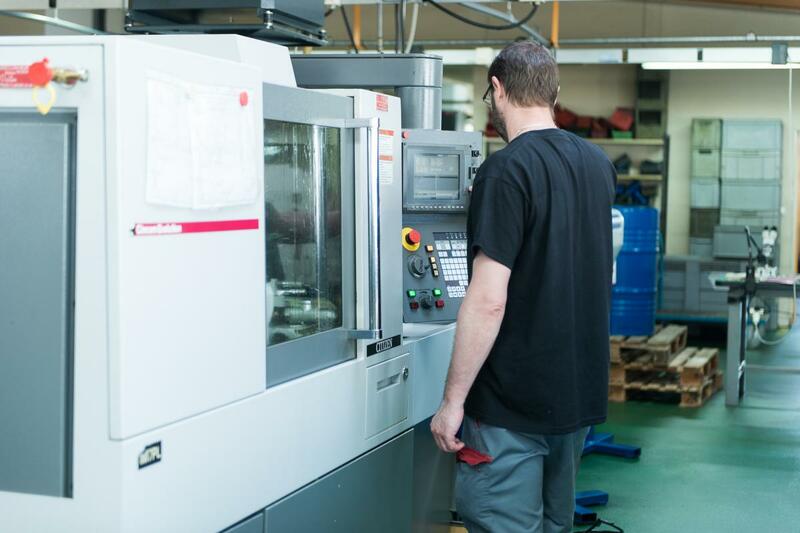 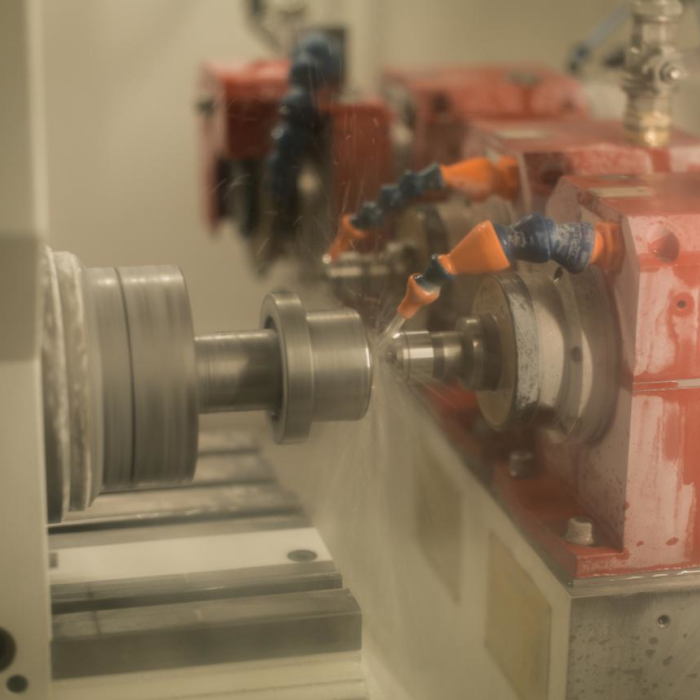 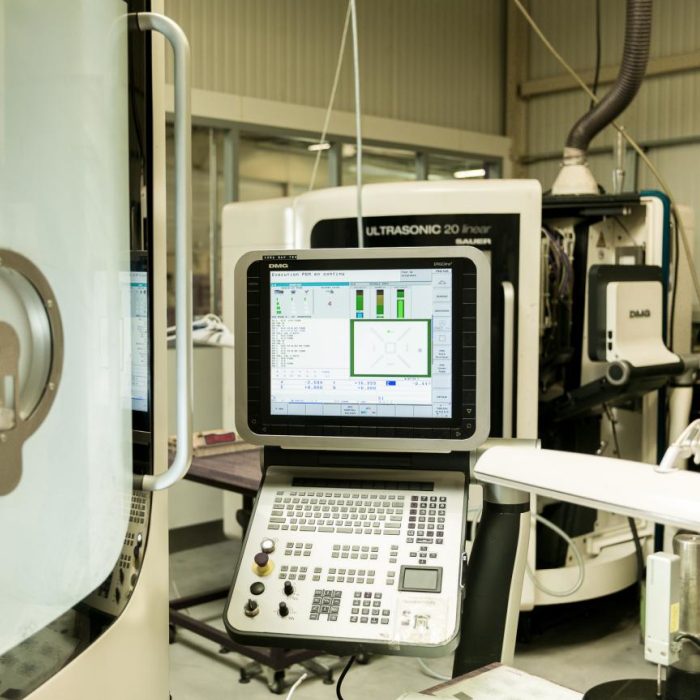 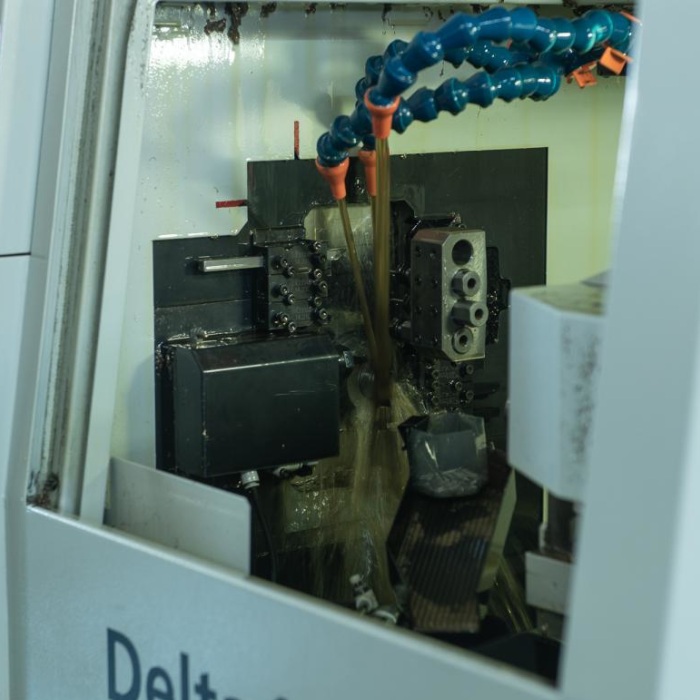 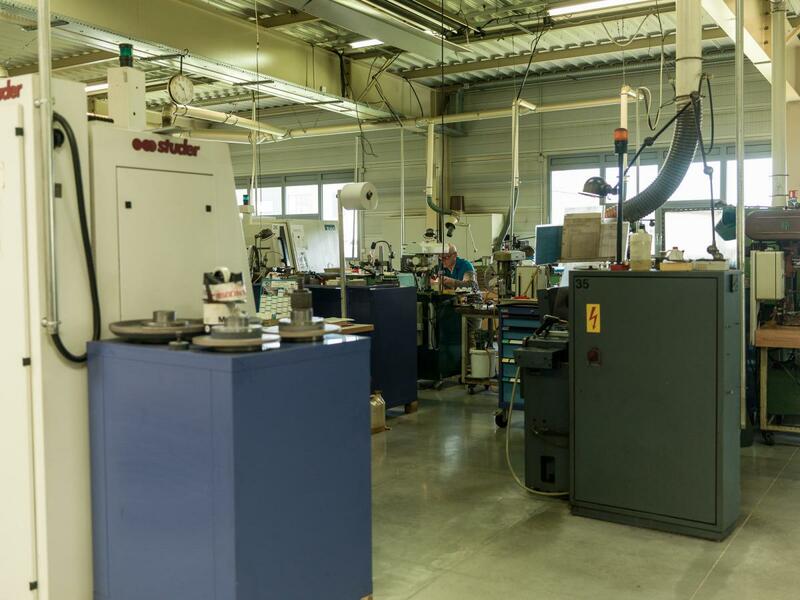 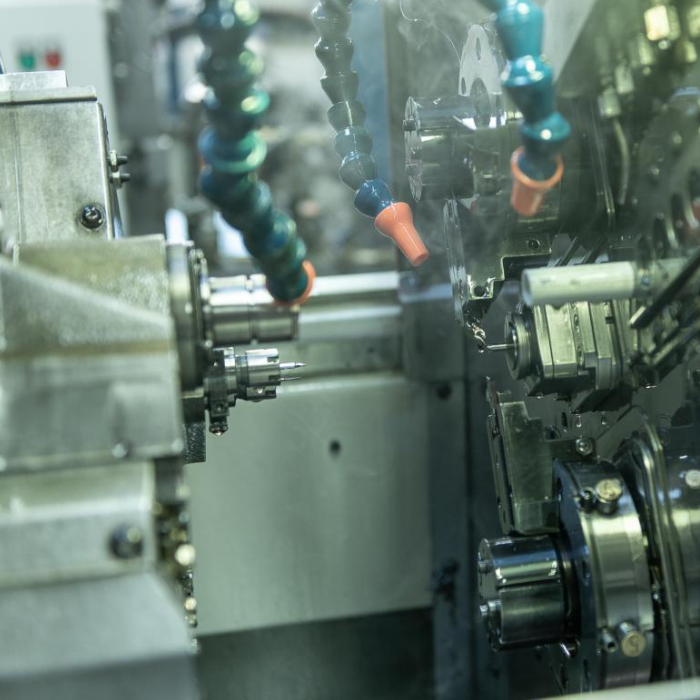 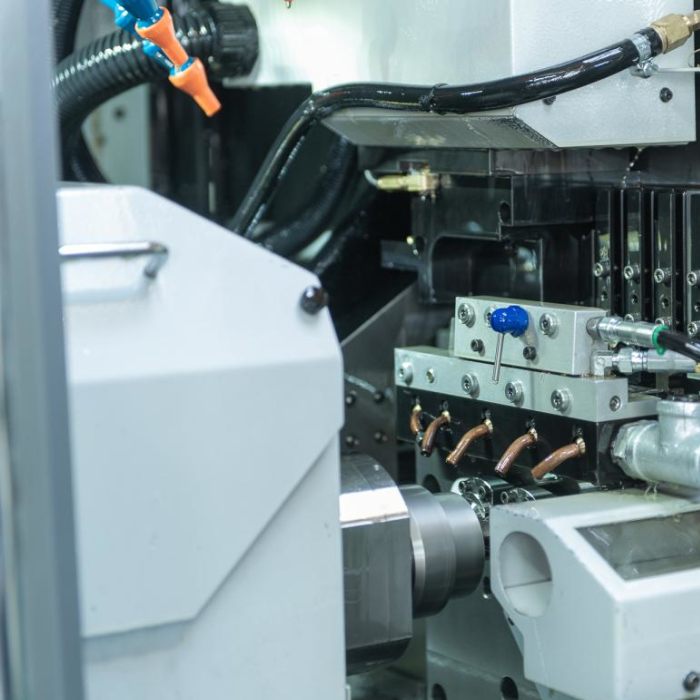 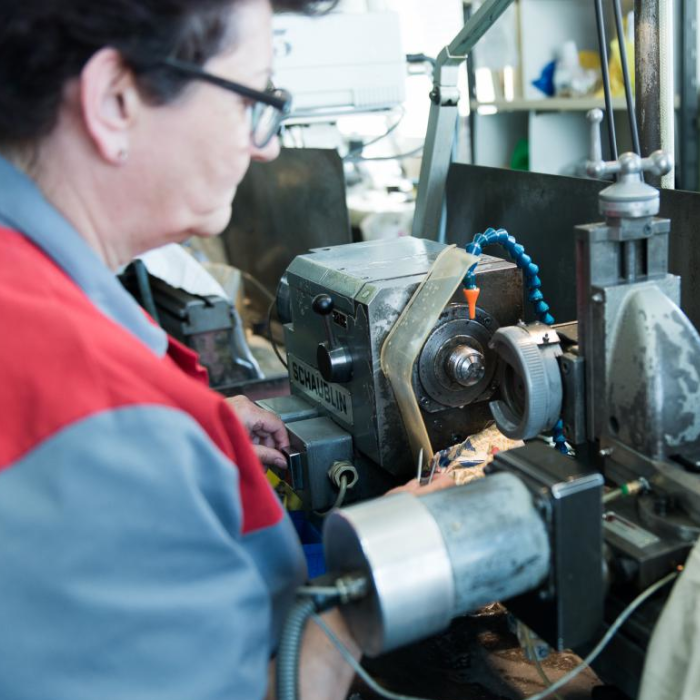 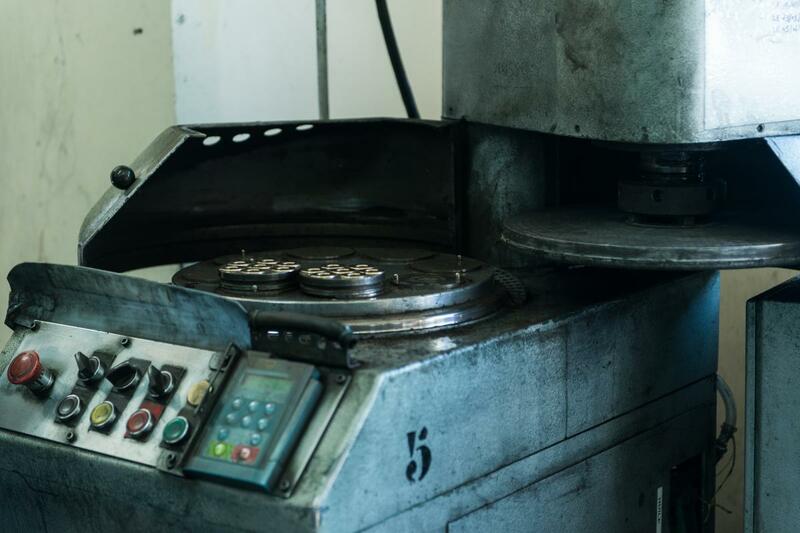 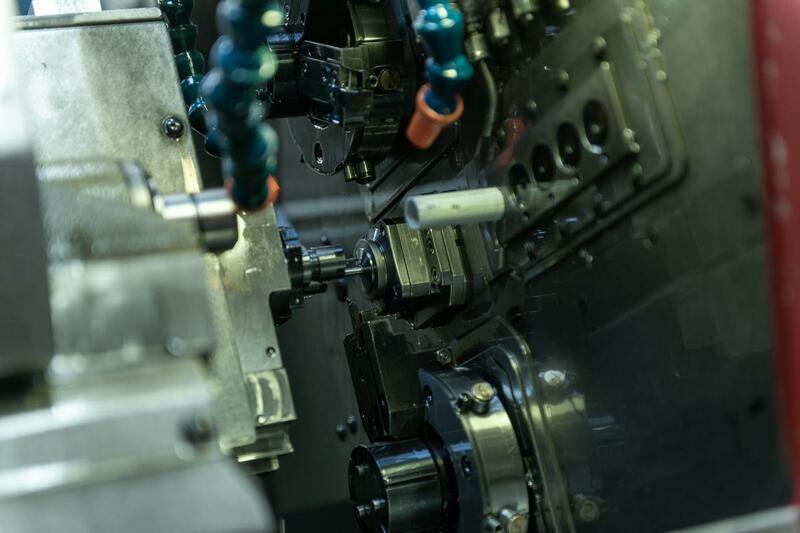 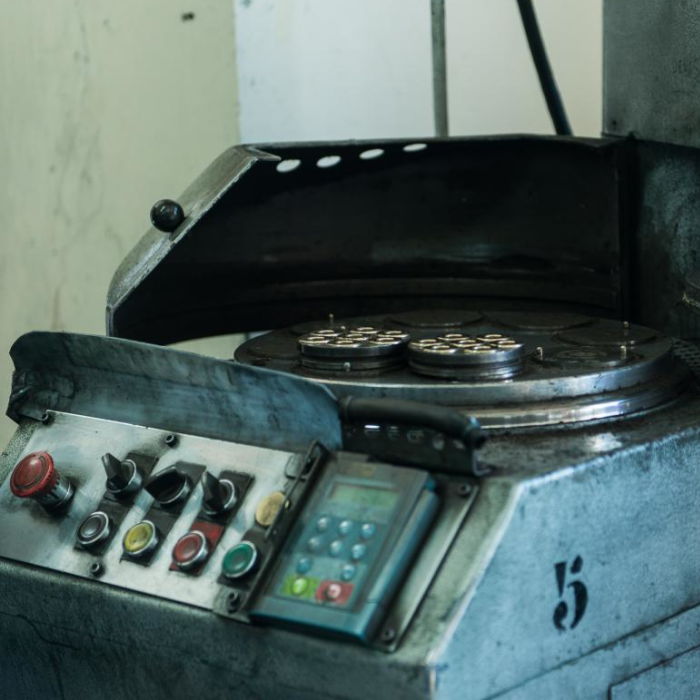 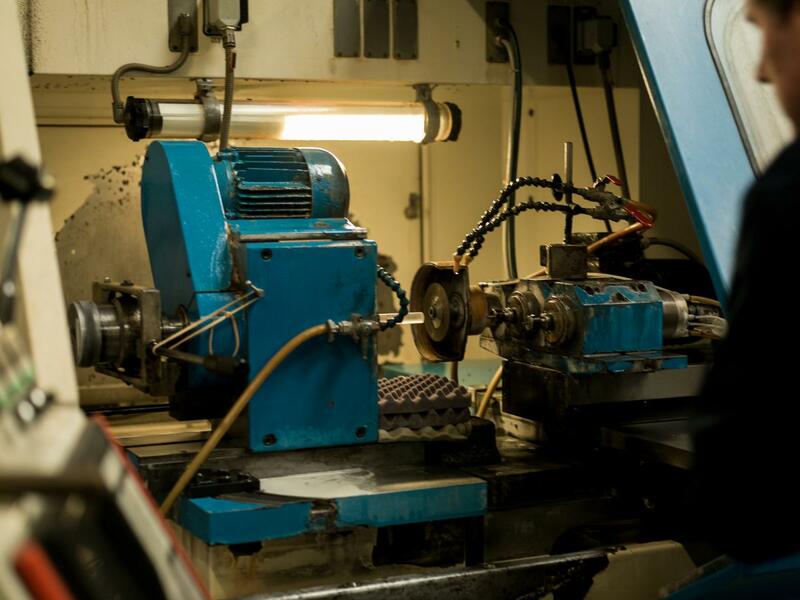 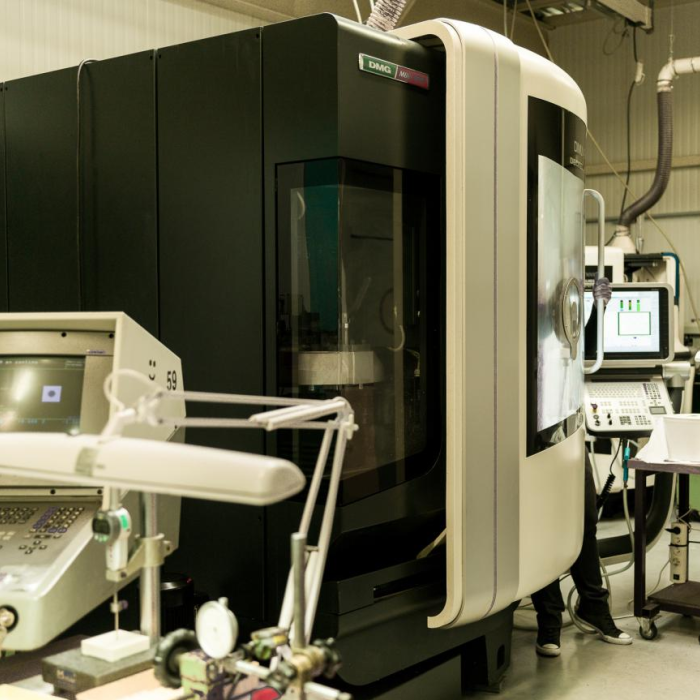 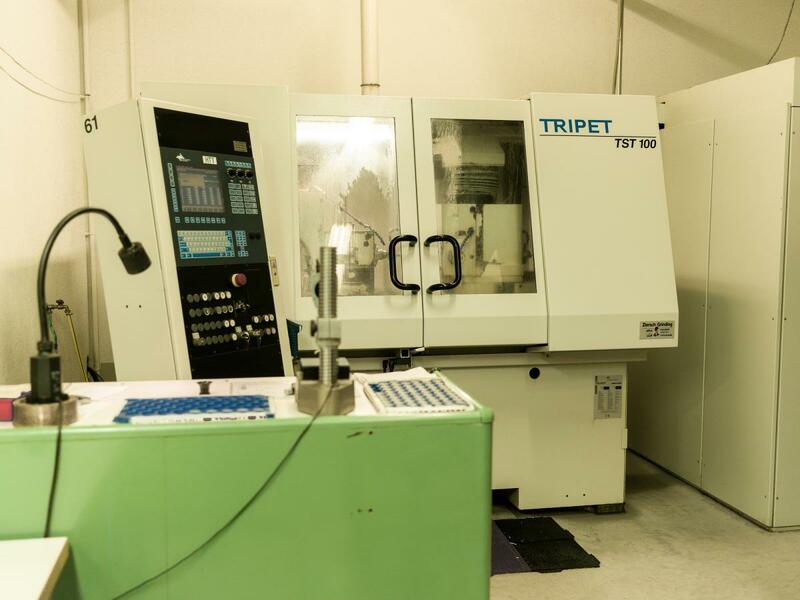 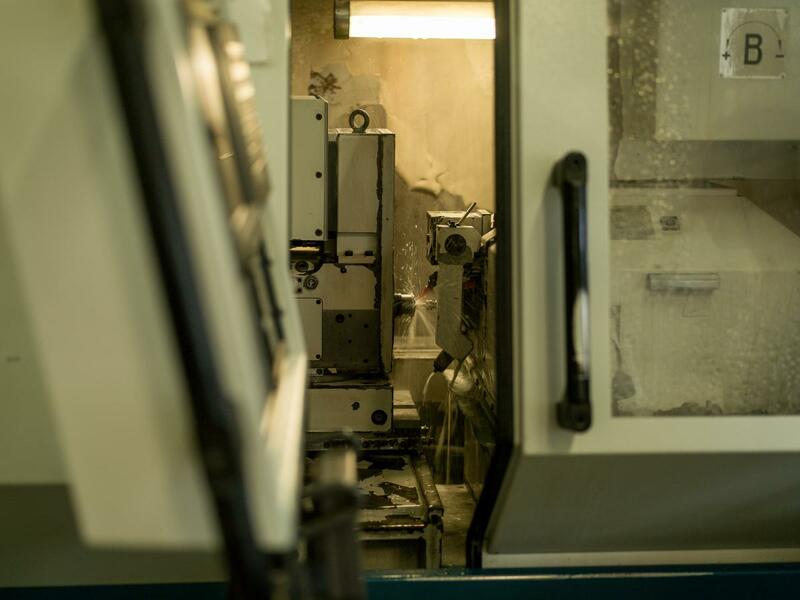 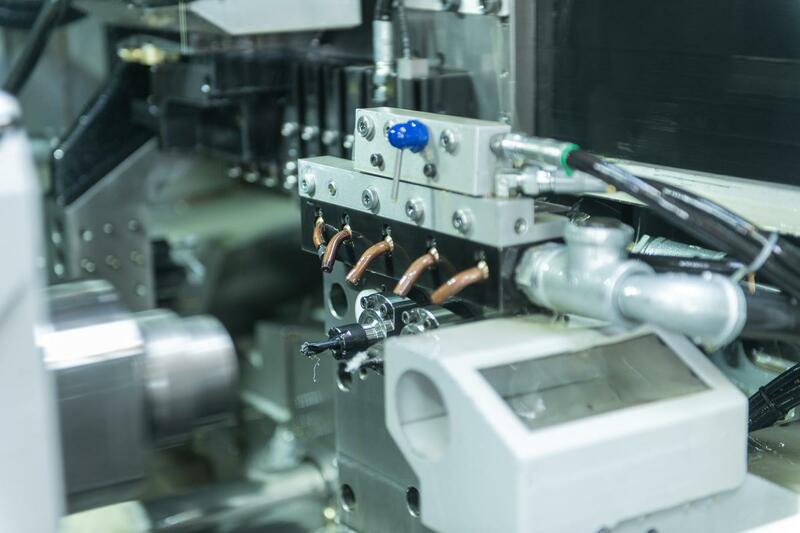 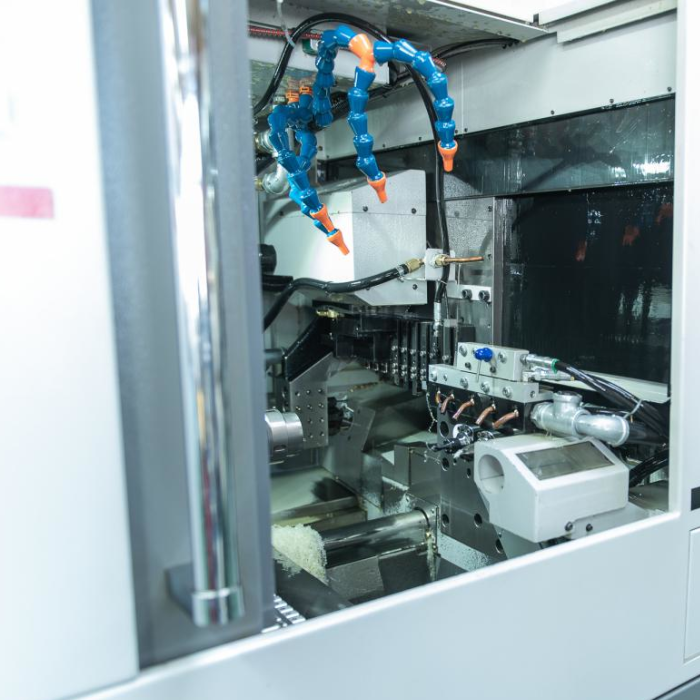 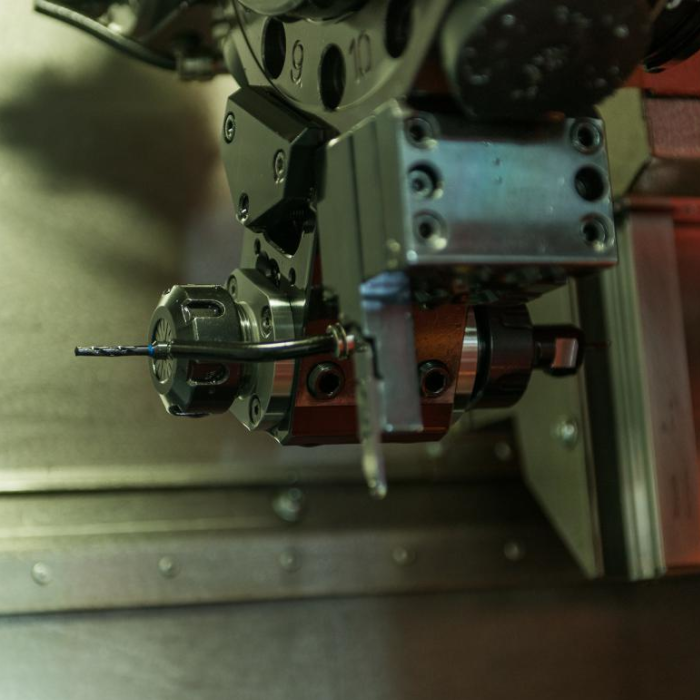 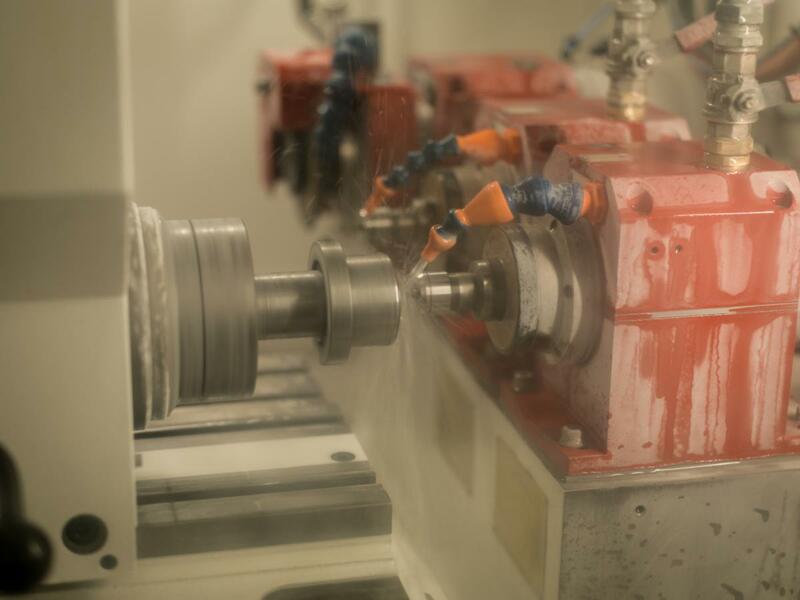 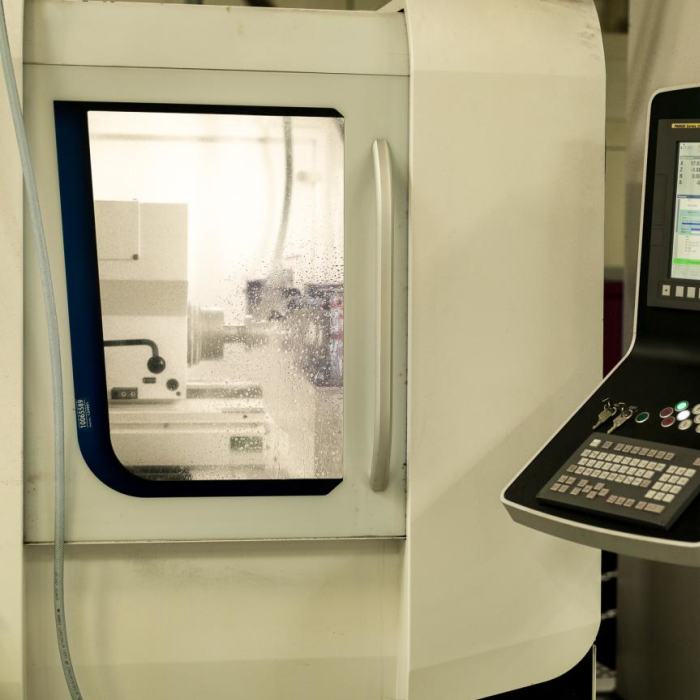 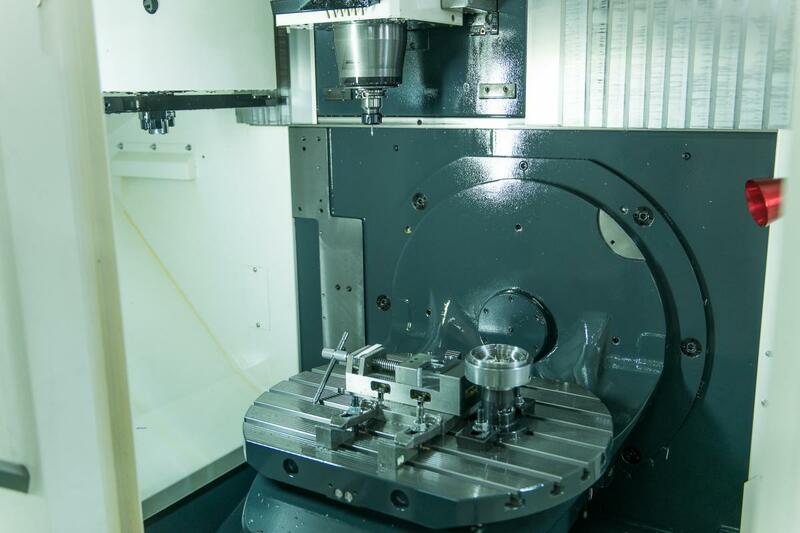 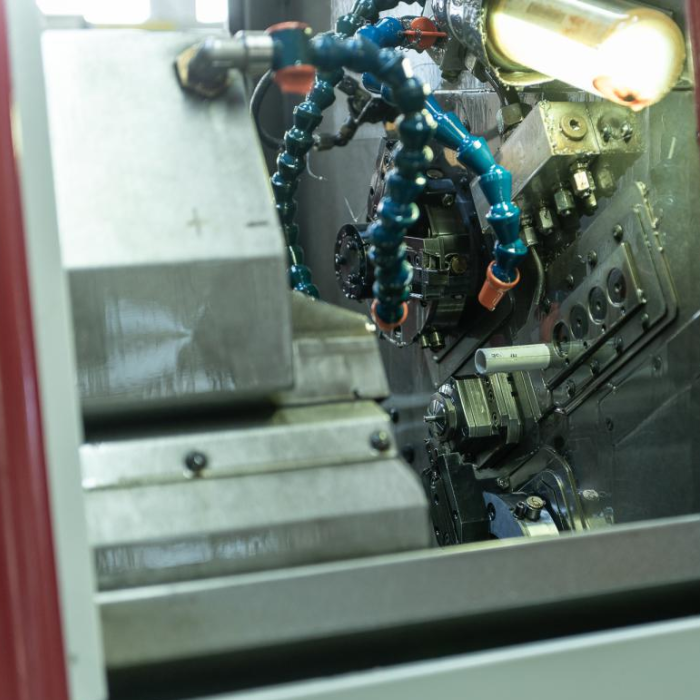 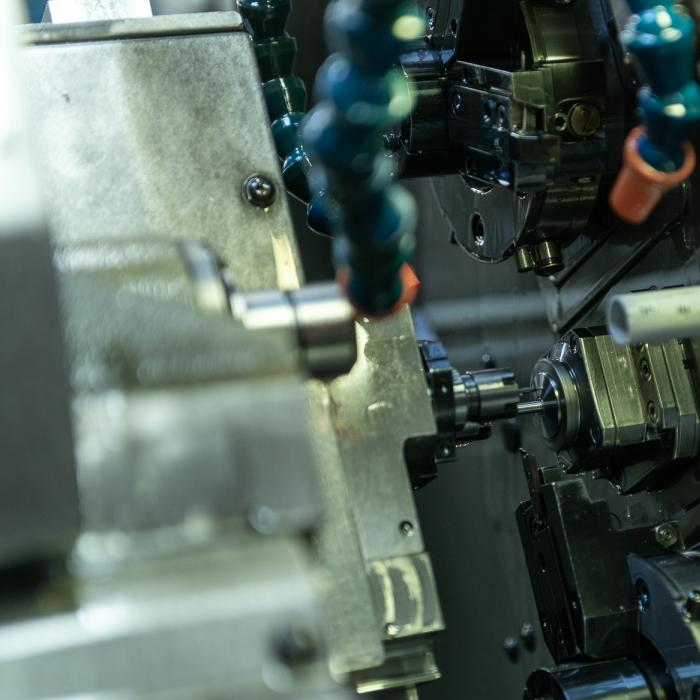 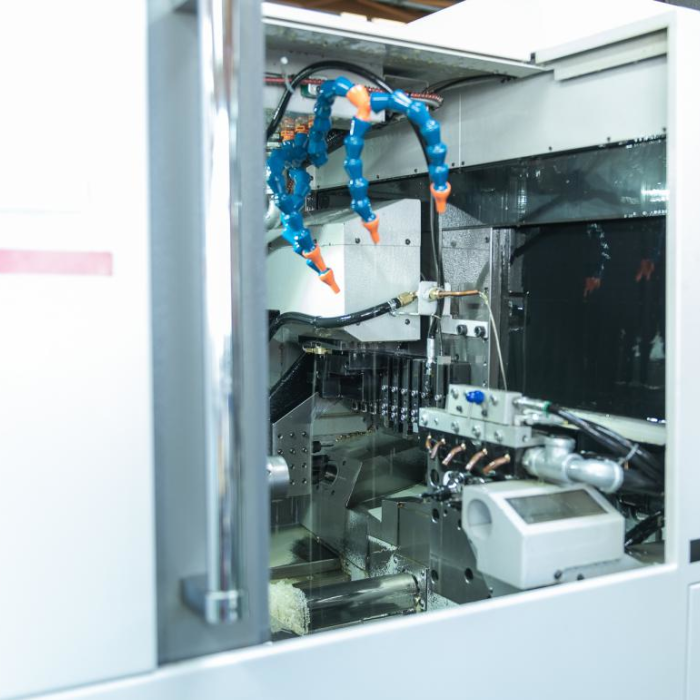 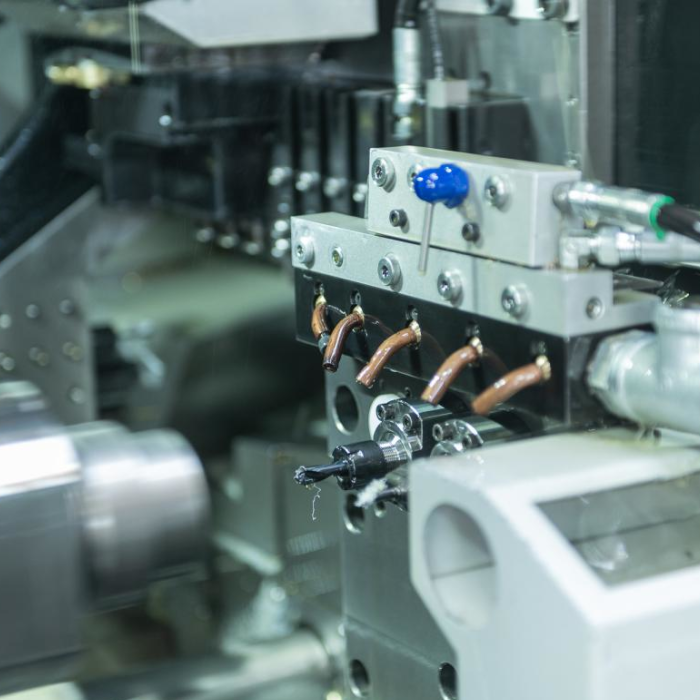 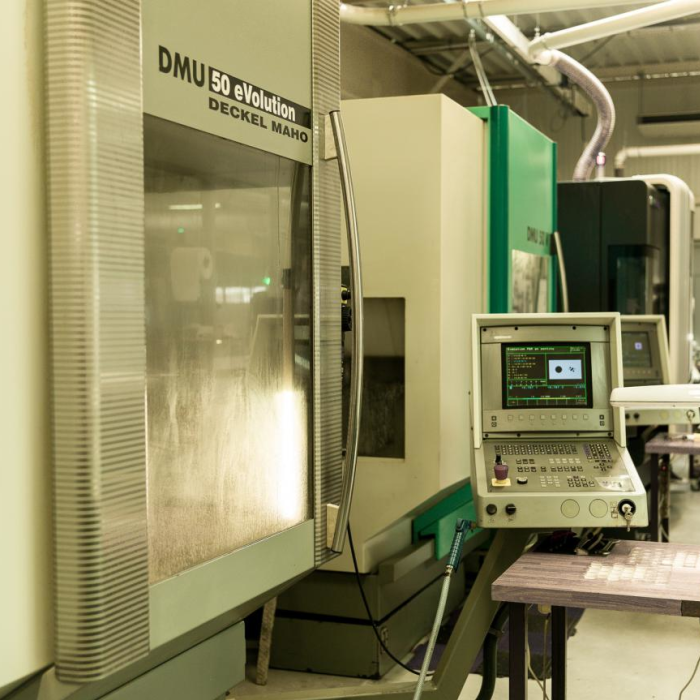 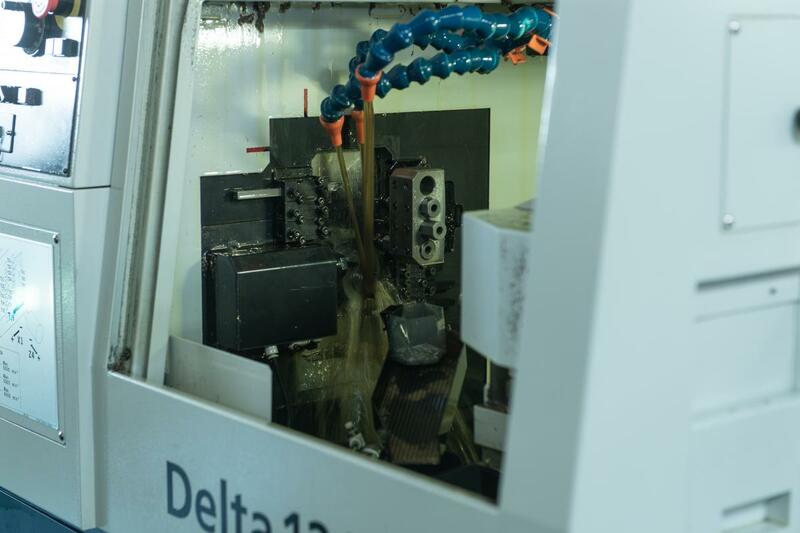 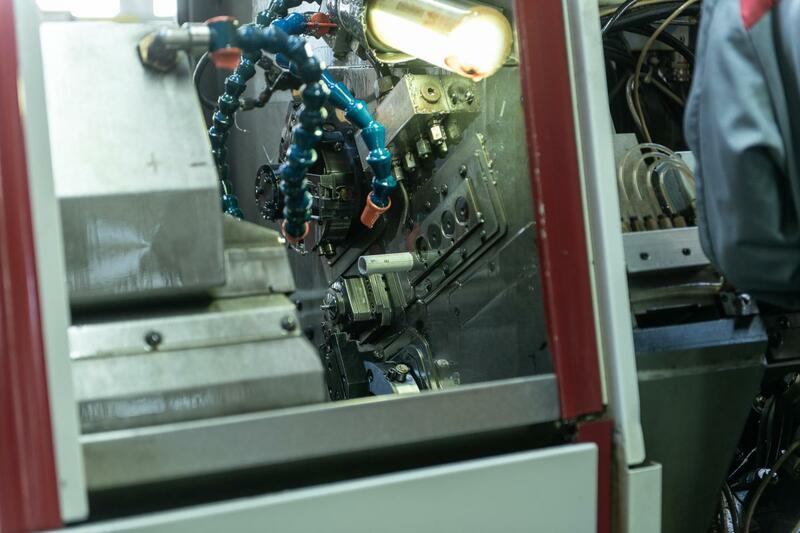 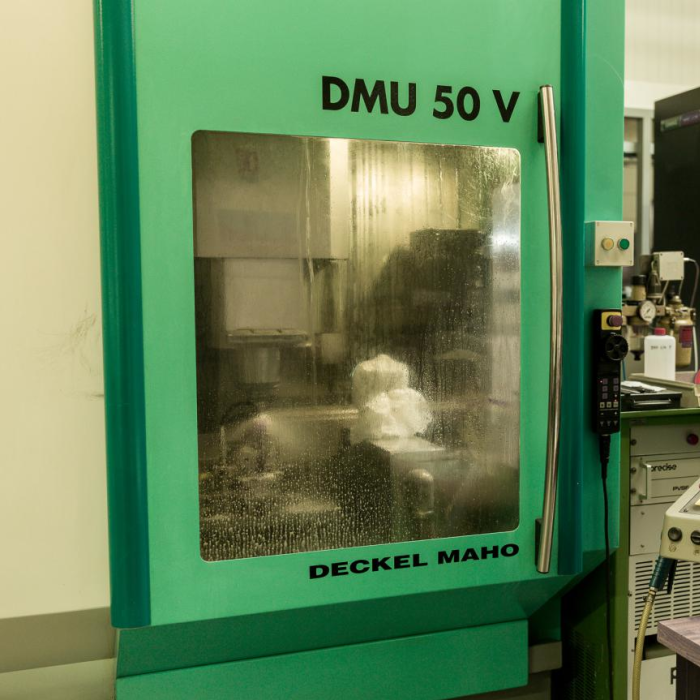 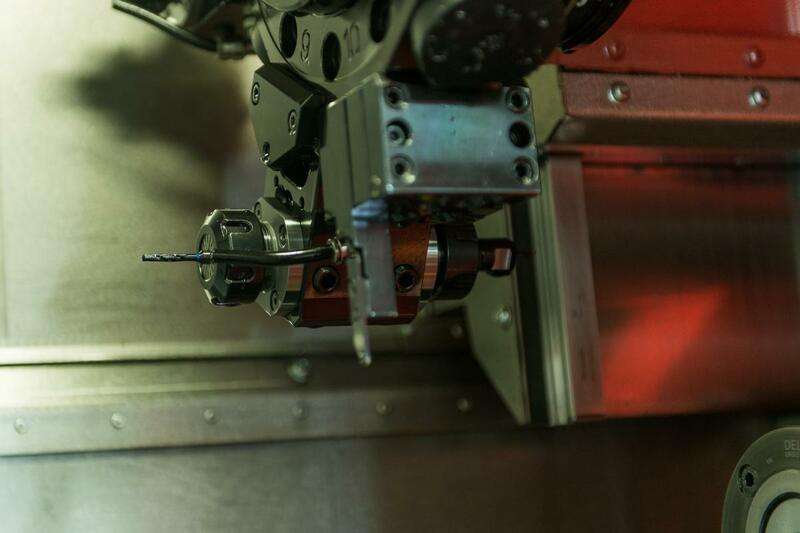 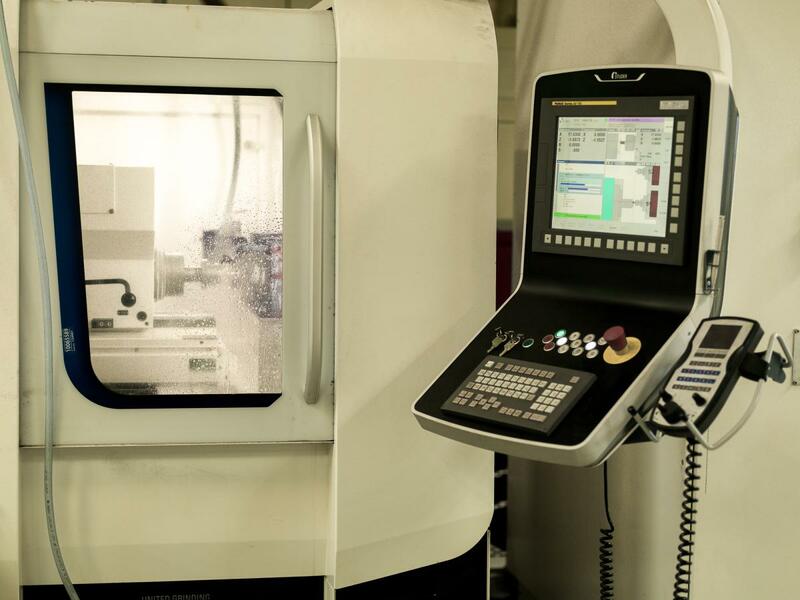 Our mechanical pole is equipped with conventional machining units, from a numerically controlled lathe with a bar feed up to diameter 42 or a billet feed up to diameter 200, and also machining centres with 5 continuous milling axes. 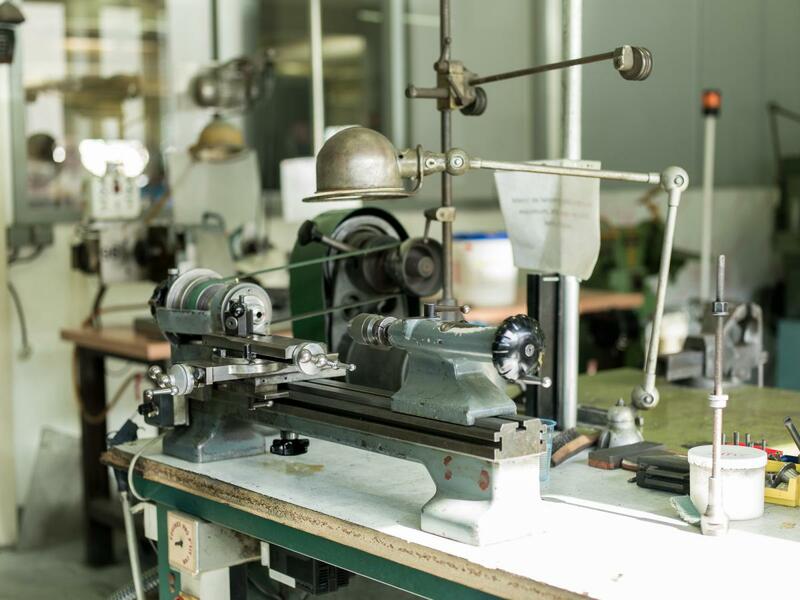 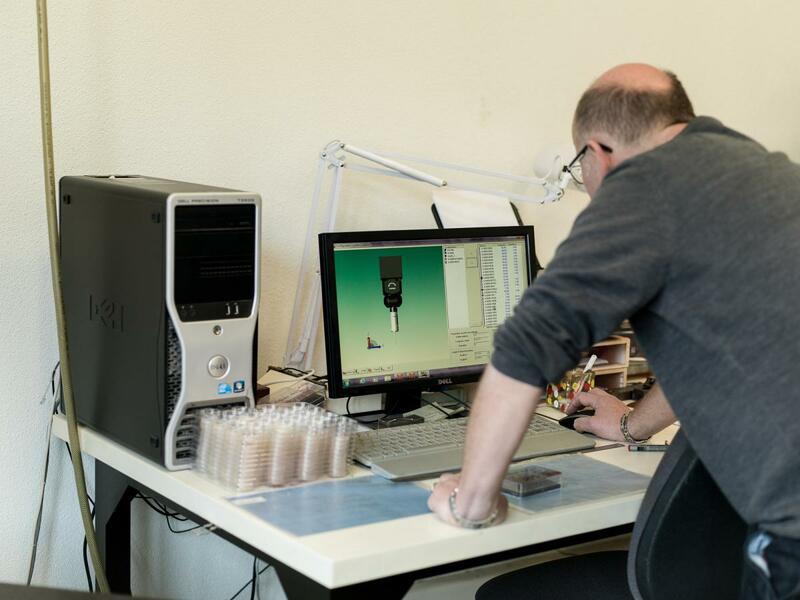 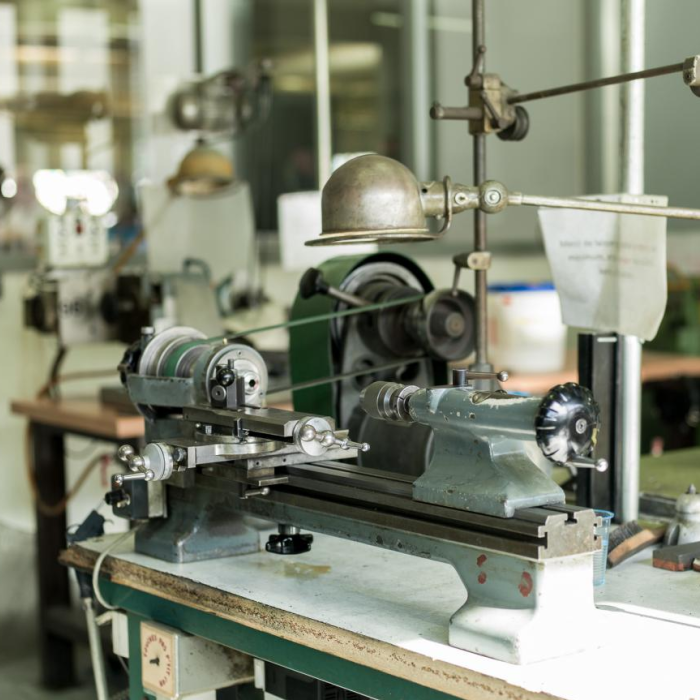 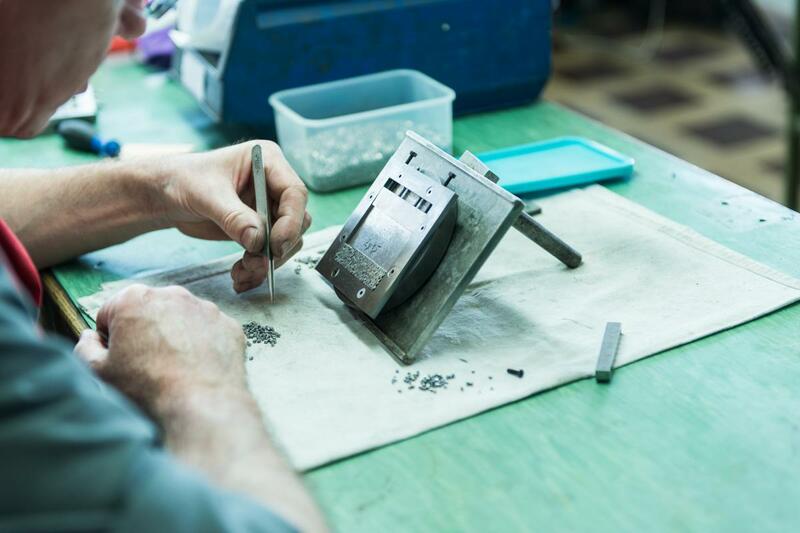 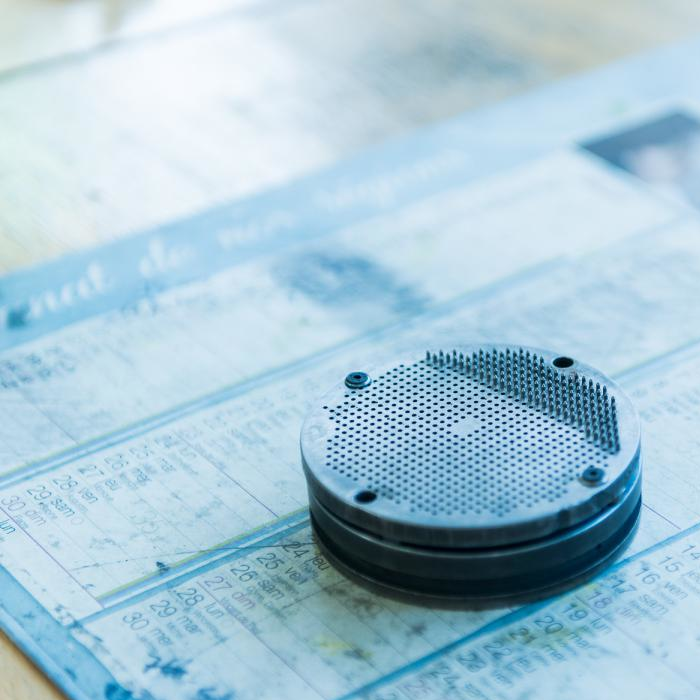 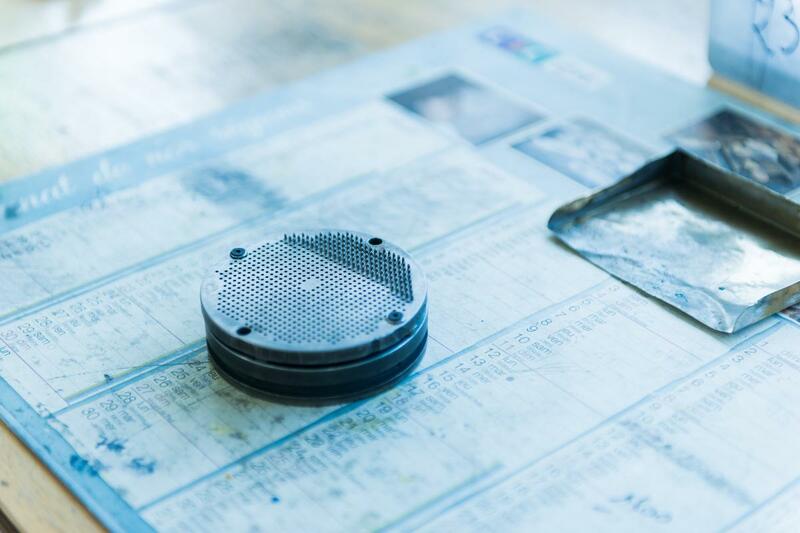 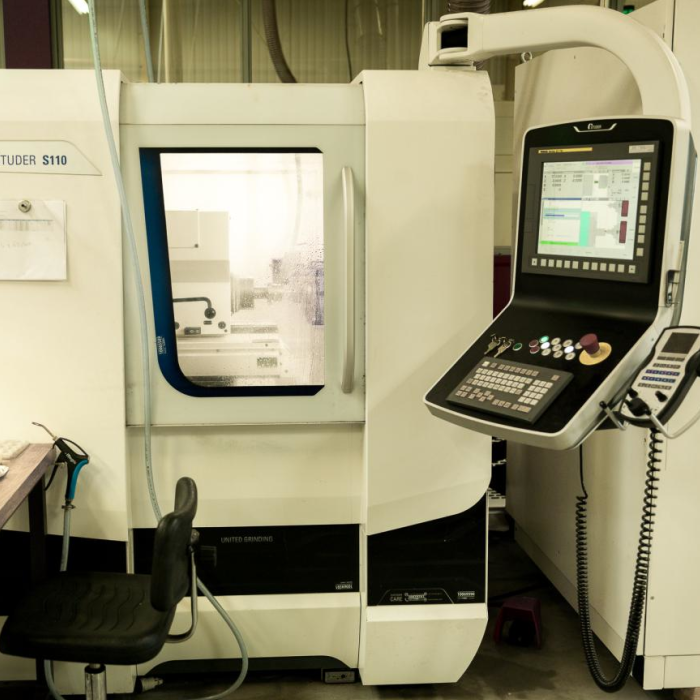 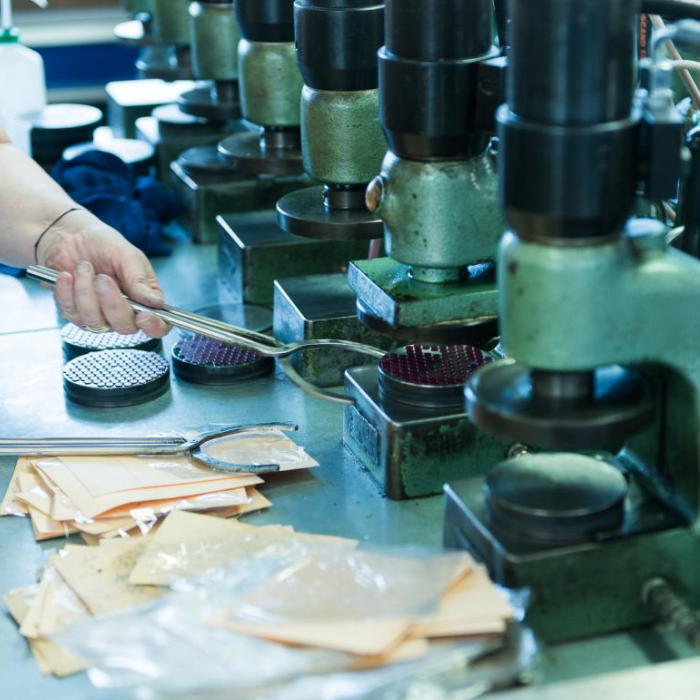 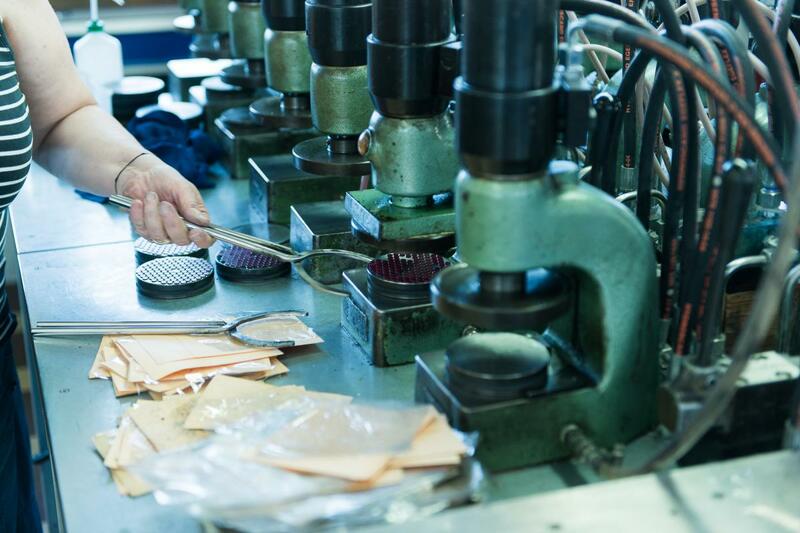 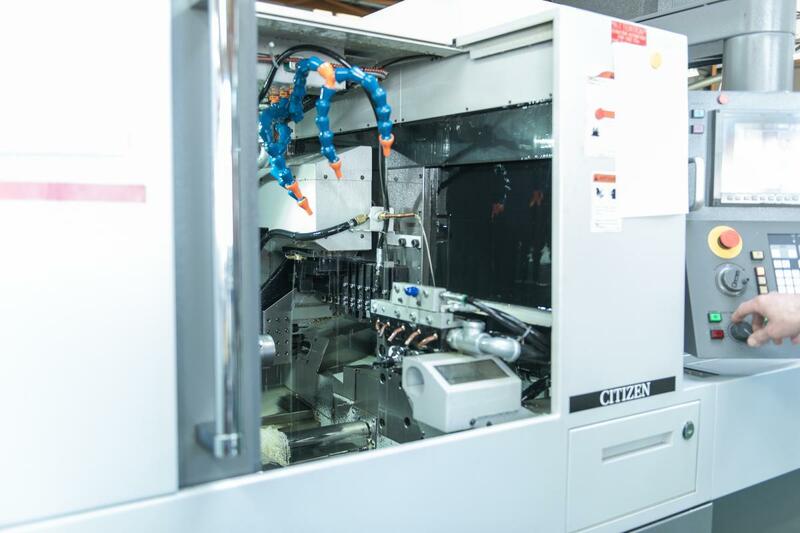 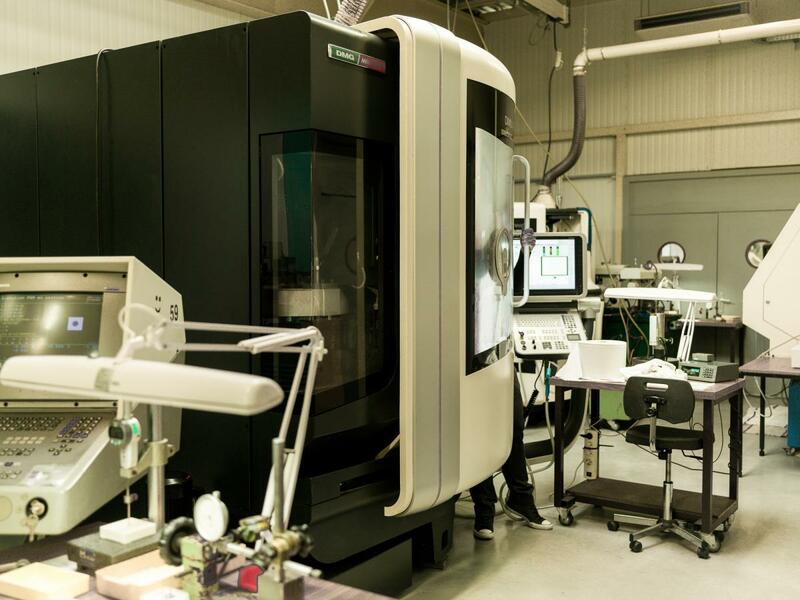 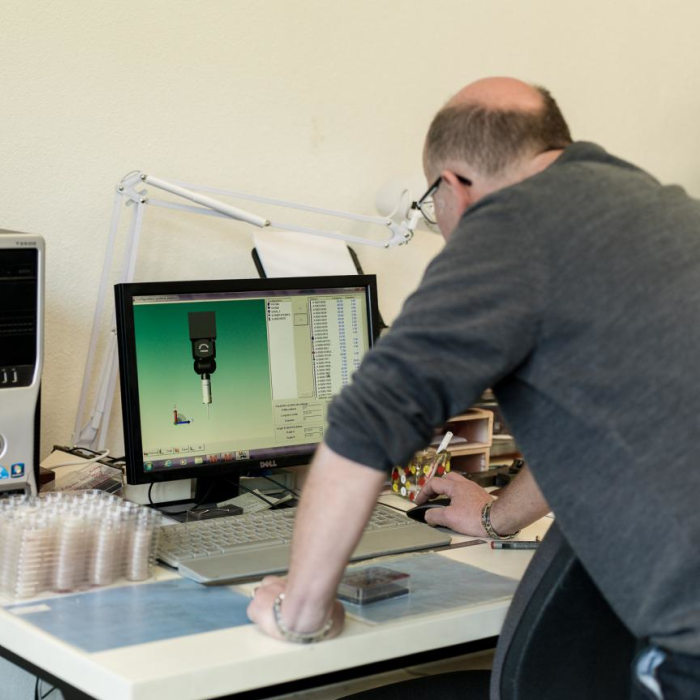 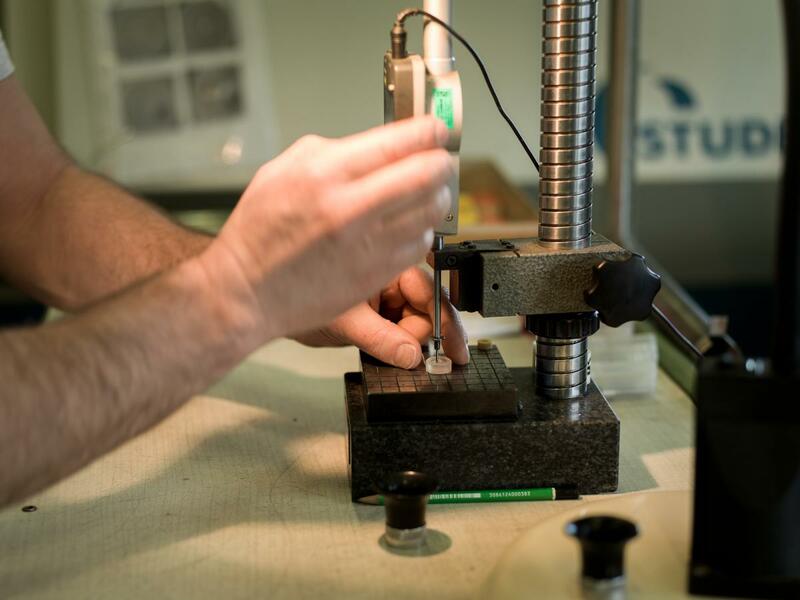 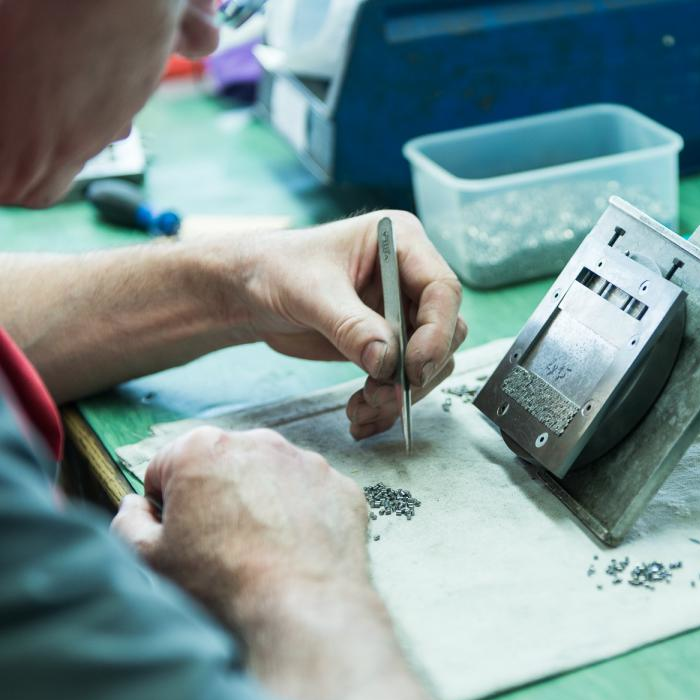 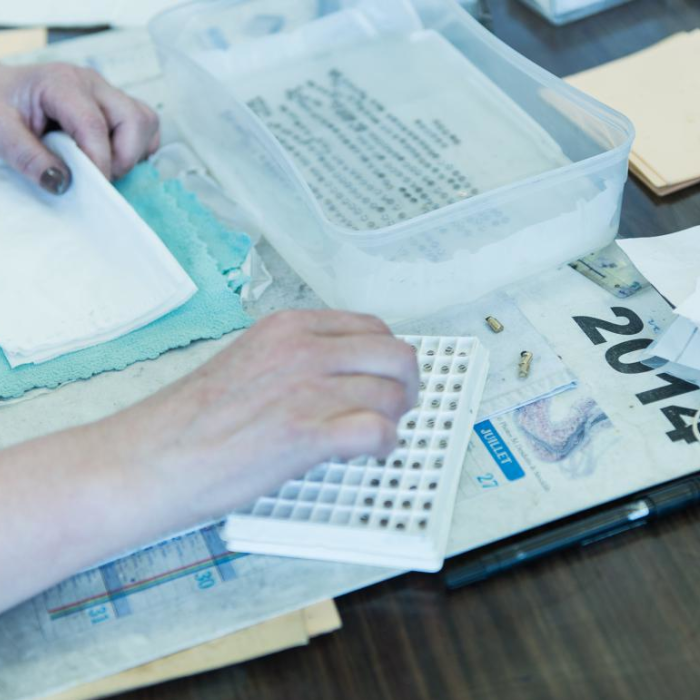 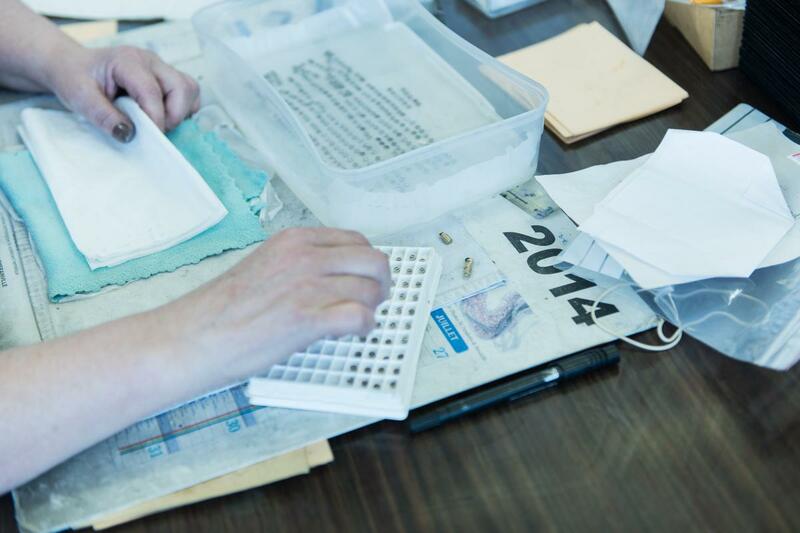 This equipment allows us to use all our expertise on your prototype and pre-production requests and to meet all your micromechanical needs. 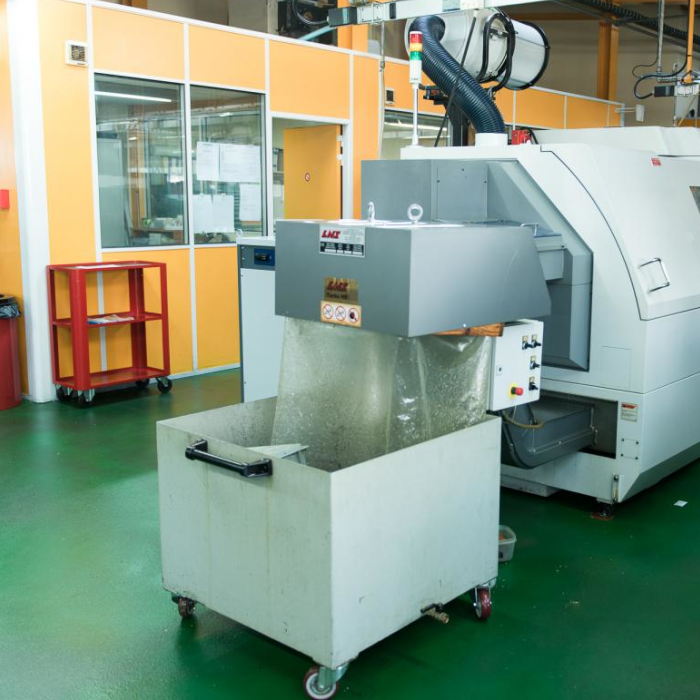 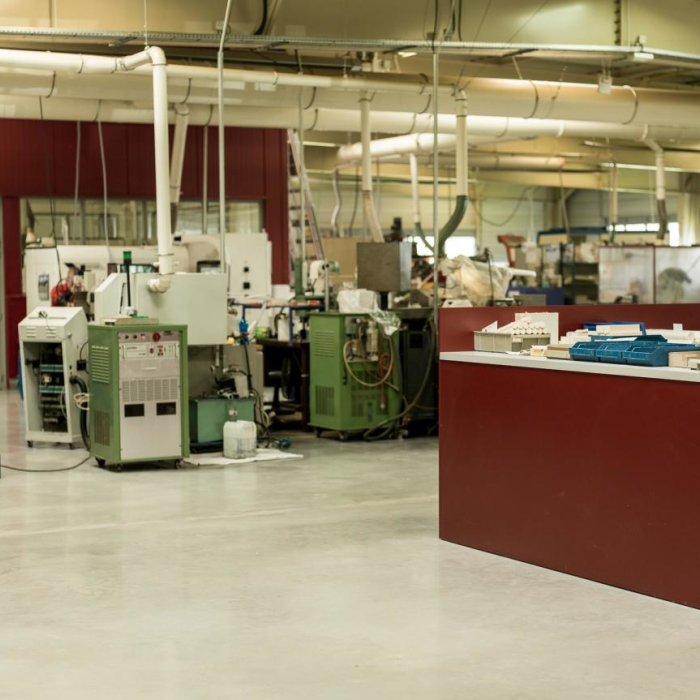 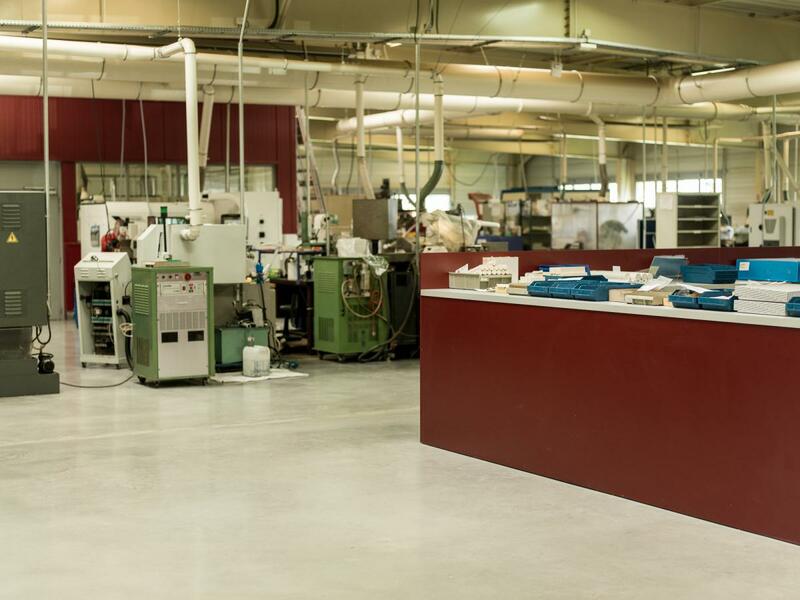 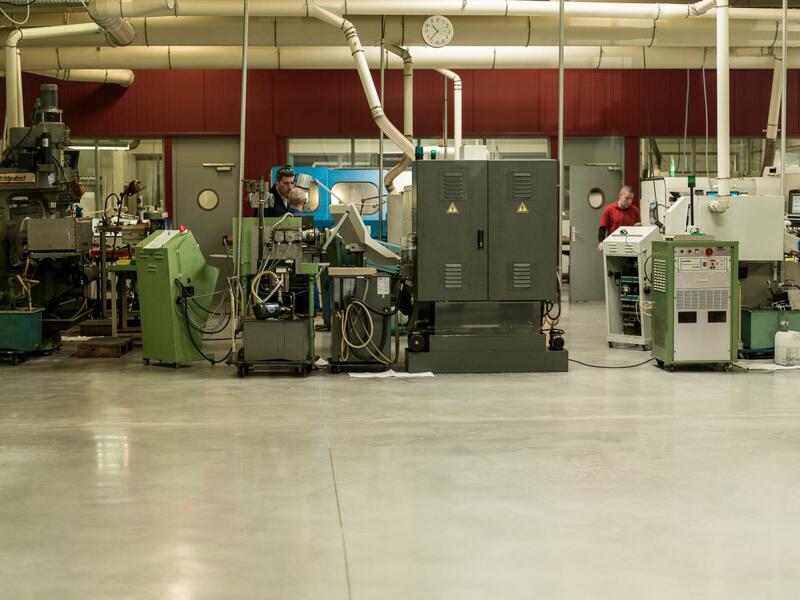 This workshop is equipped with a 2-liter capacity vibratory finishing machine for micro-parts, up to 30 litres for other parts. 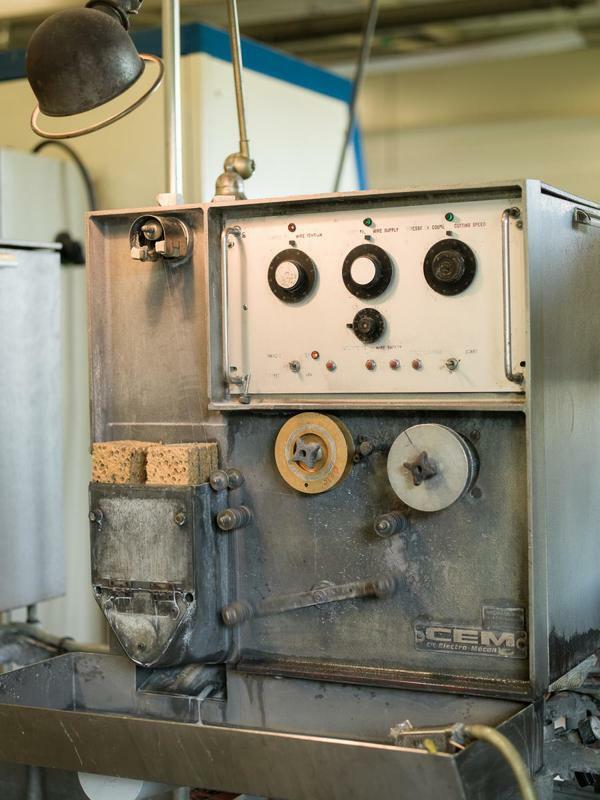 Also, a modified alcohol degreasing machine (A3 solvent authorized in the medical field). 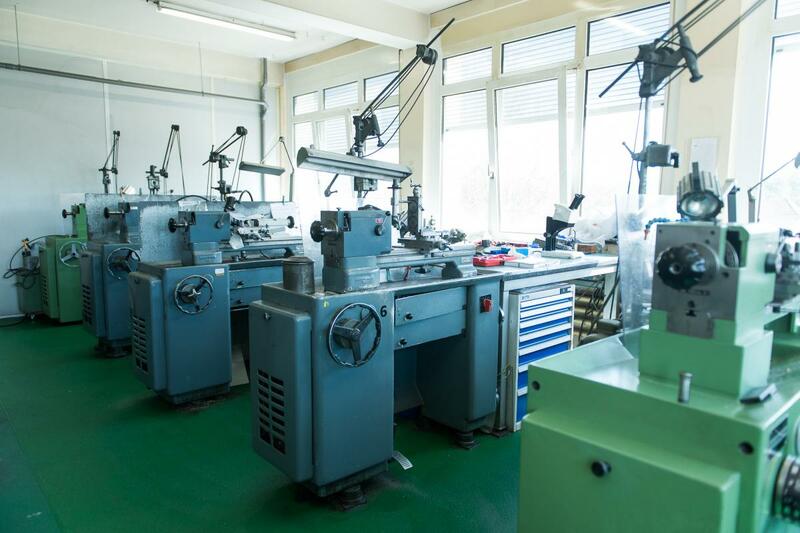 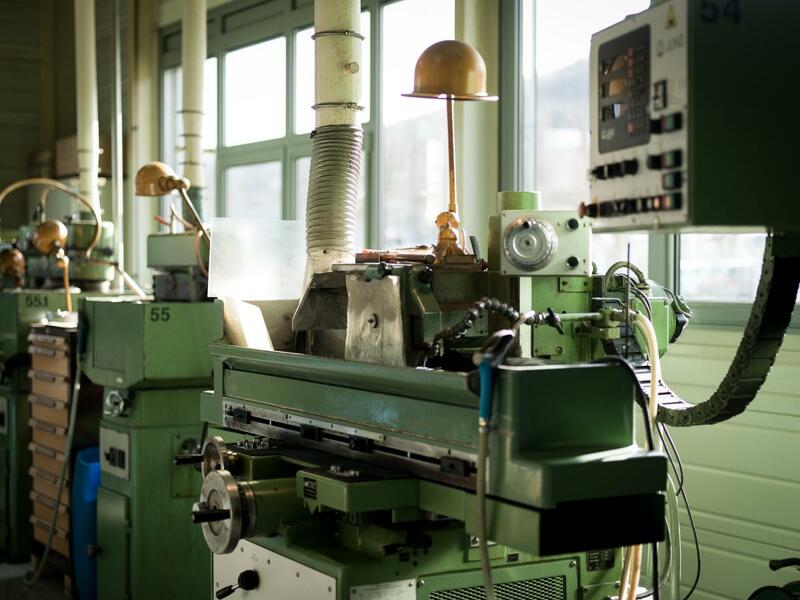 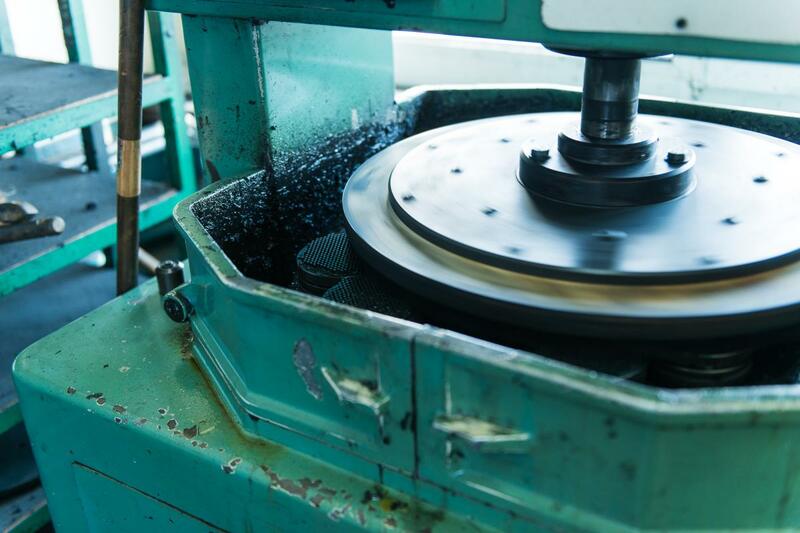 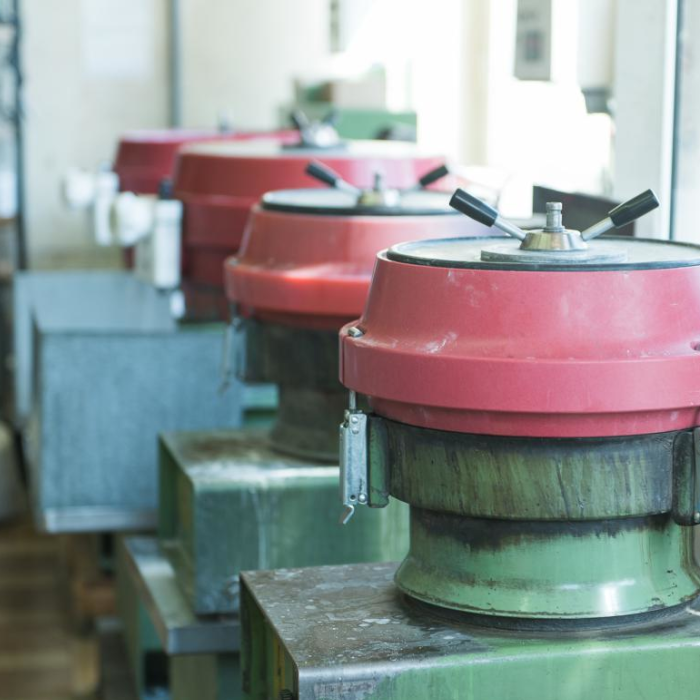 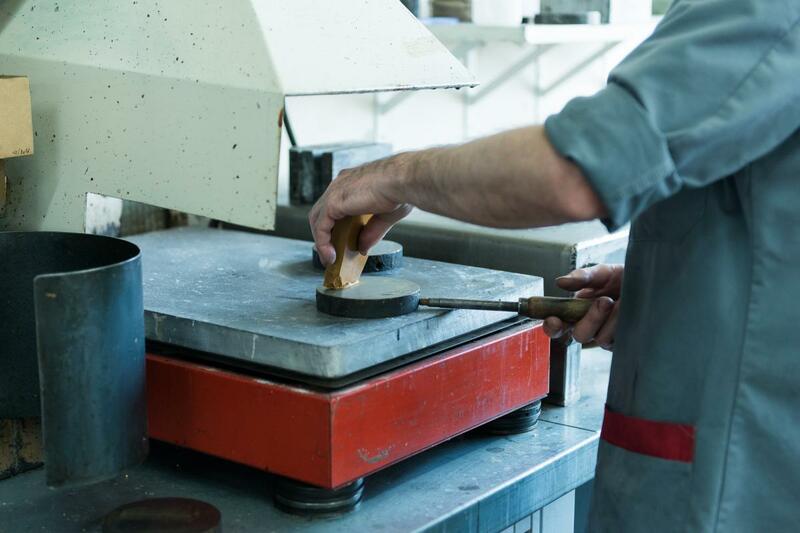 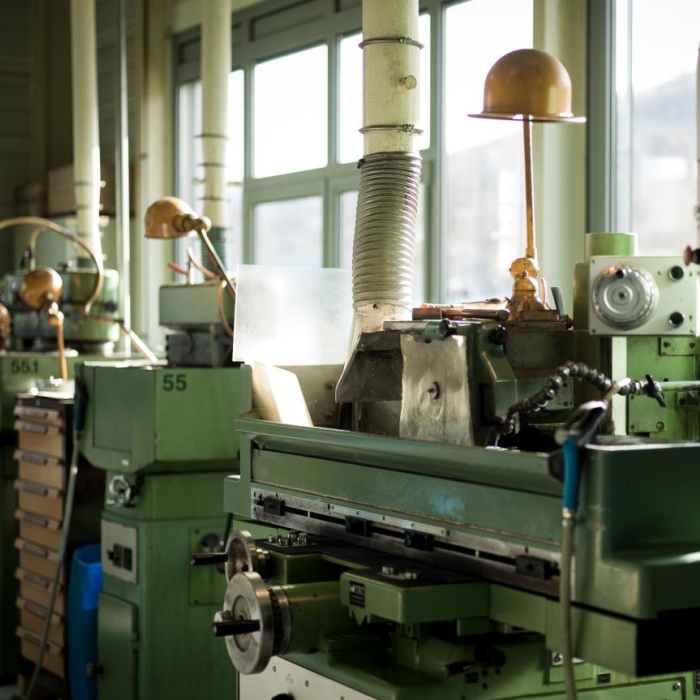 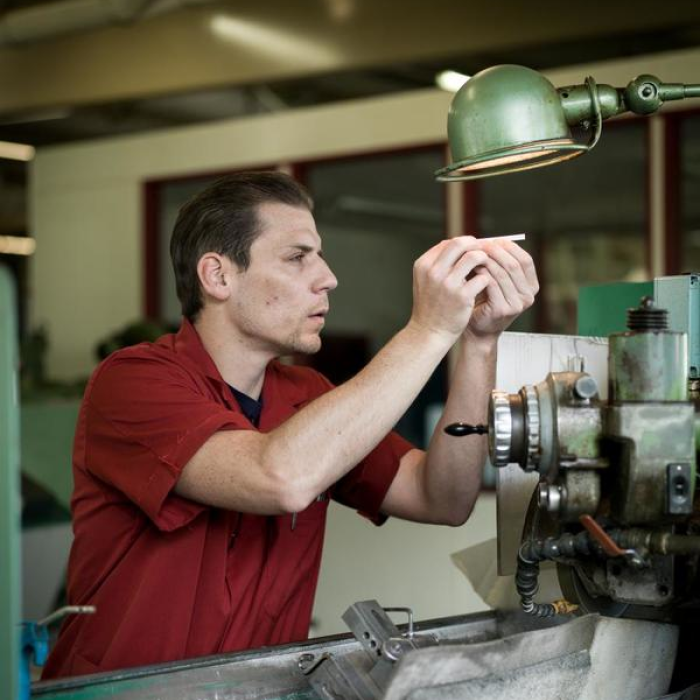 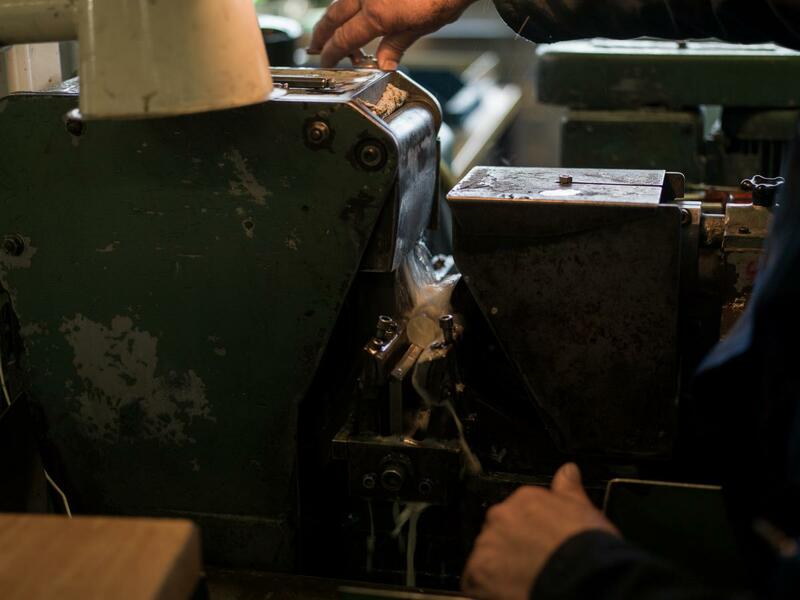 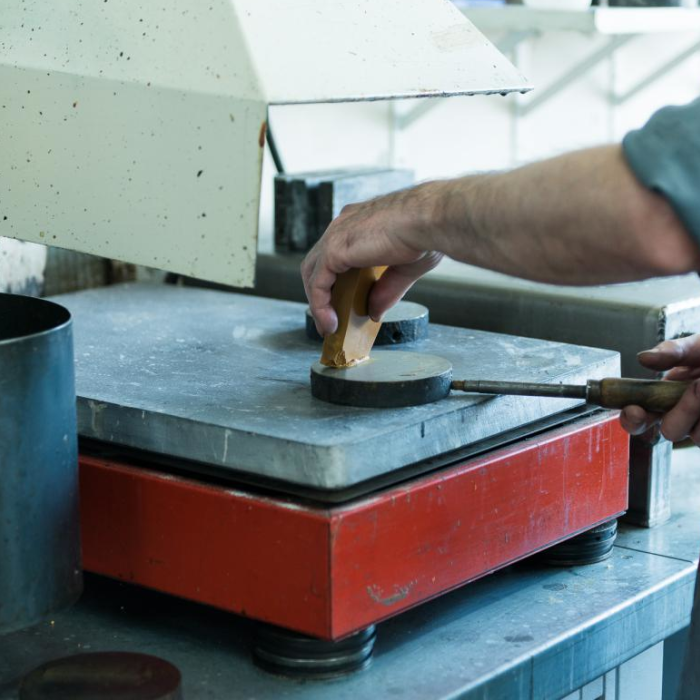 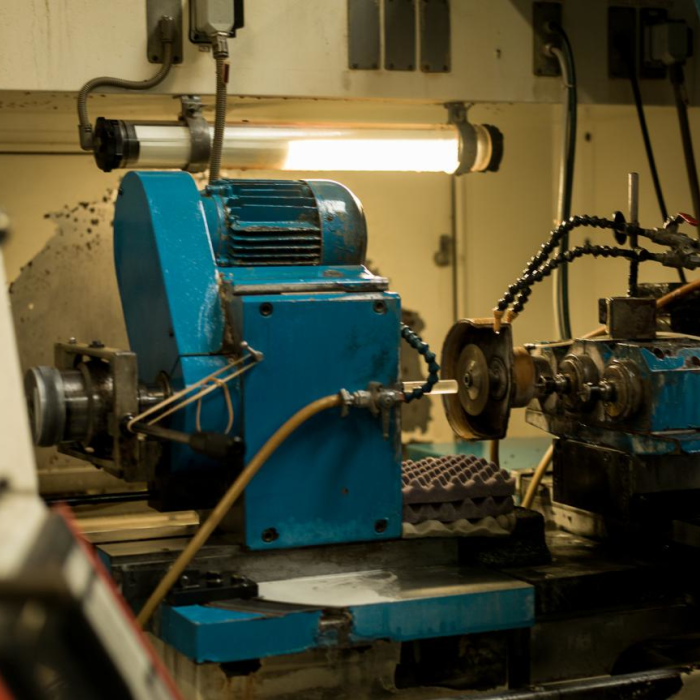 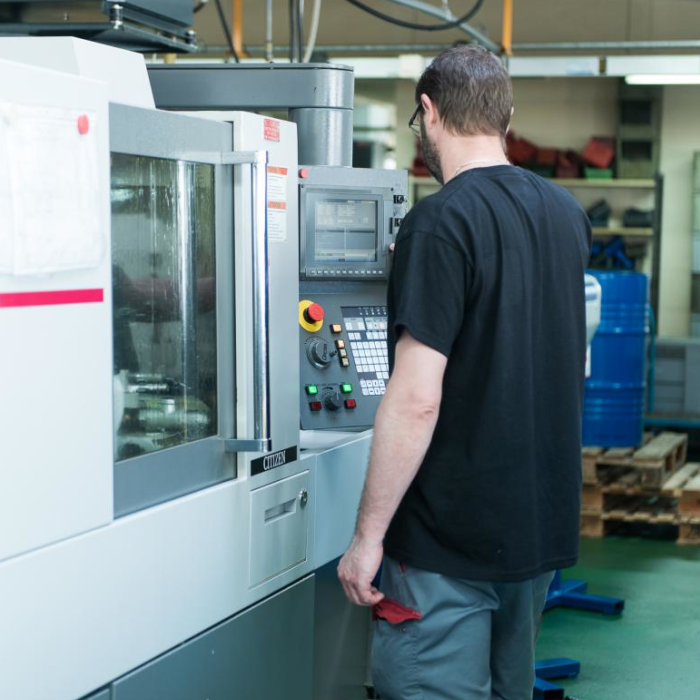 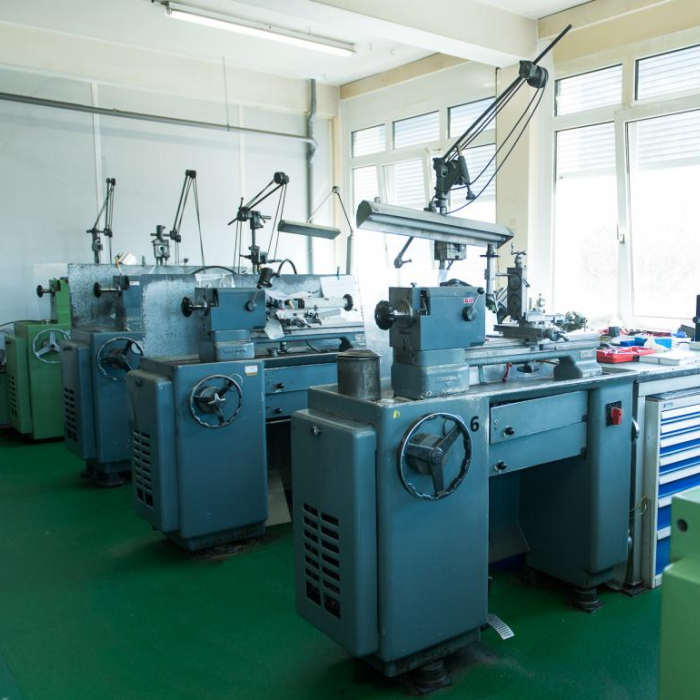 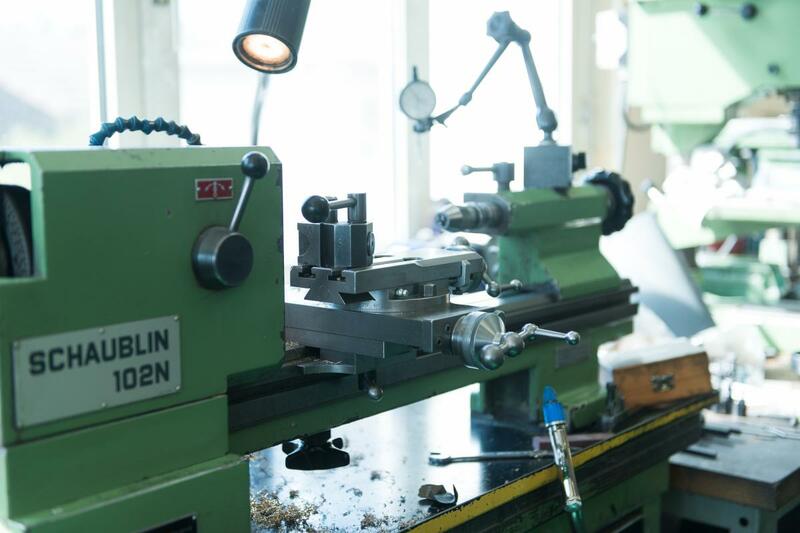 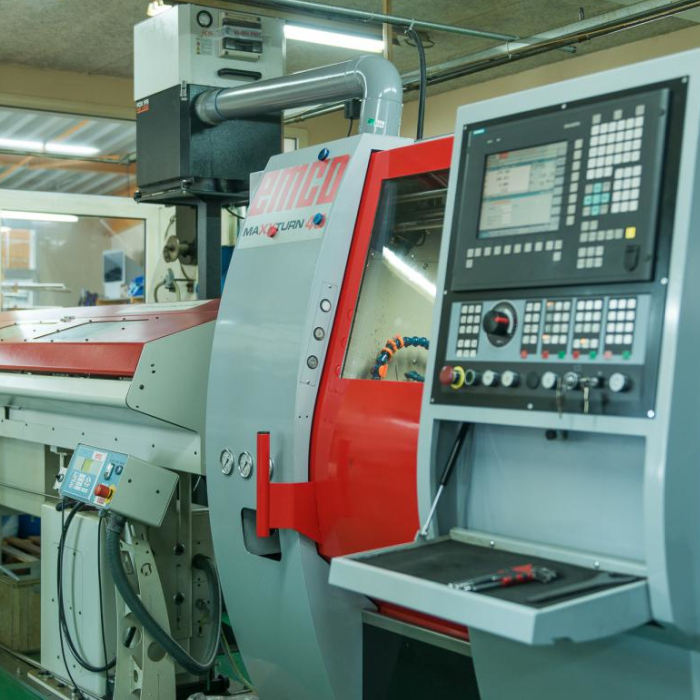 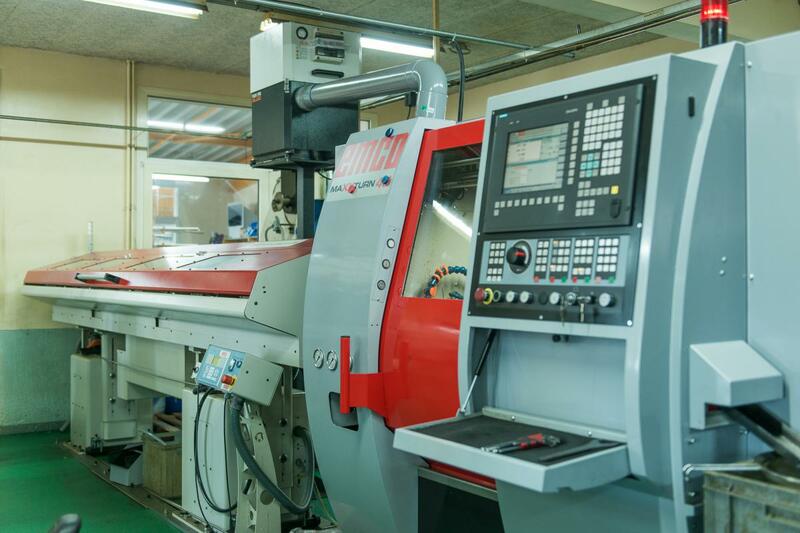 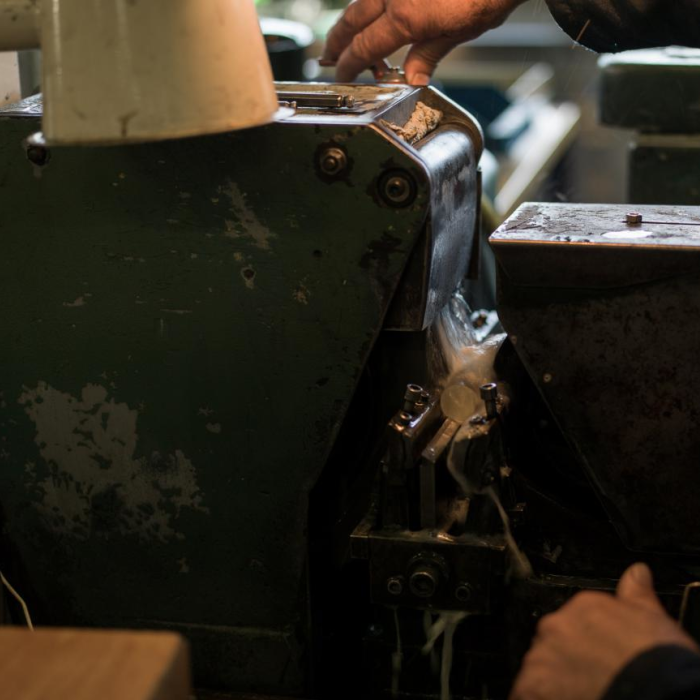 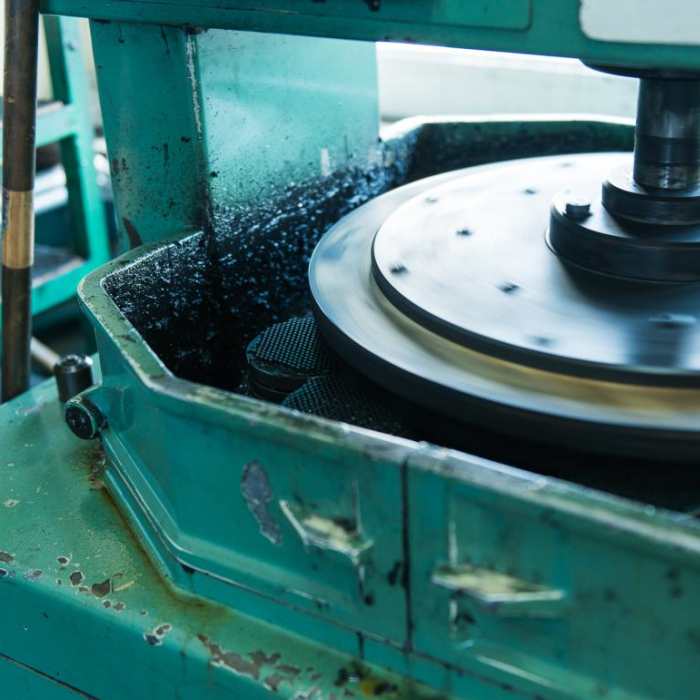 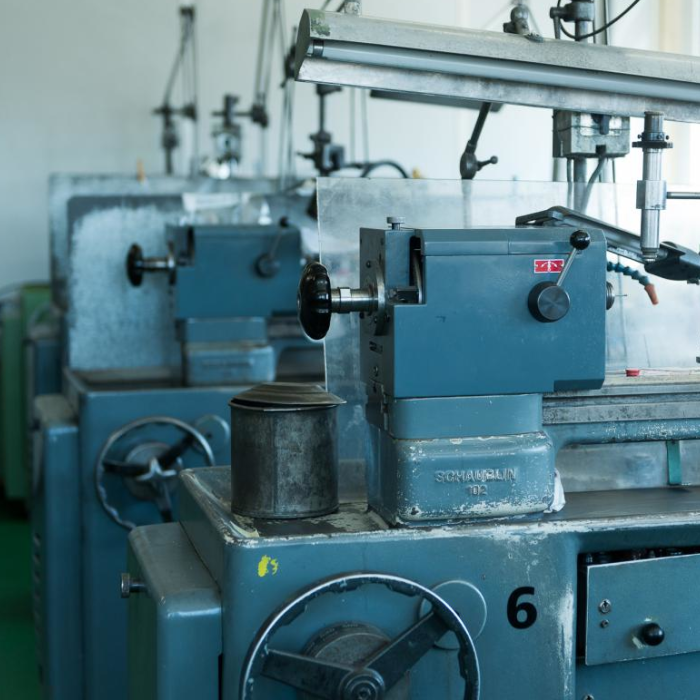 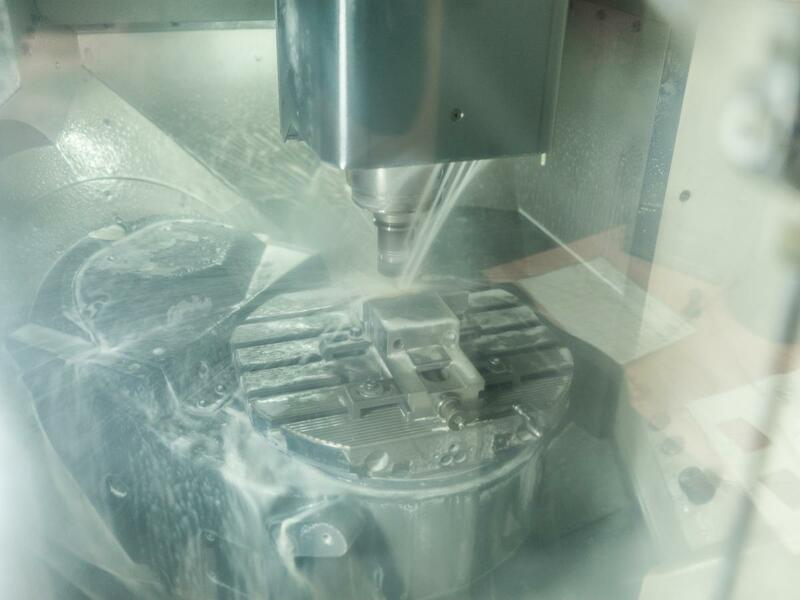 In this workshop, we make initial sections from hard material on automatic cutting, turning, and flat grinding machines. 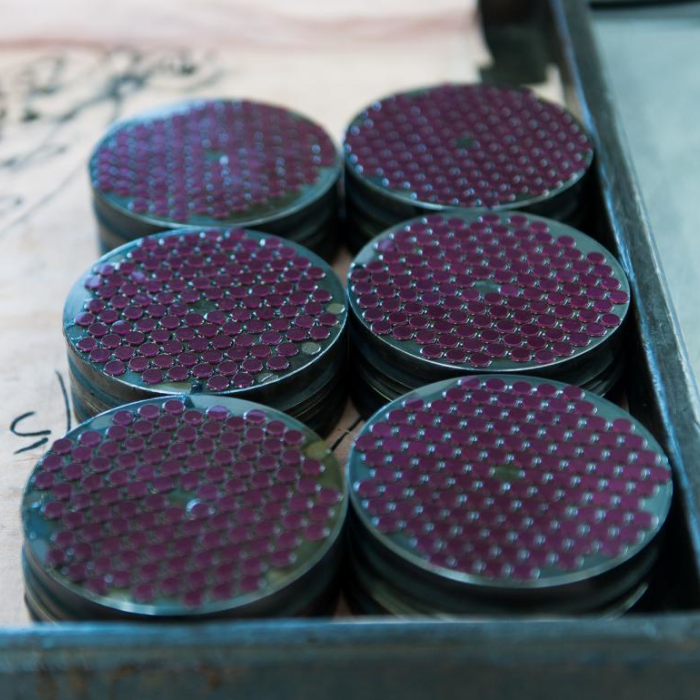 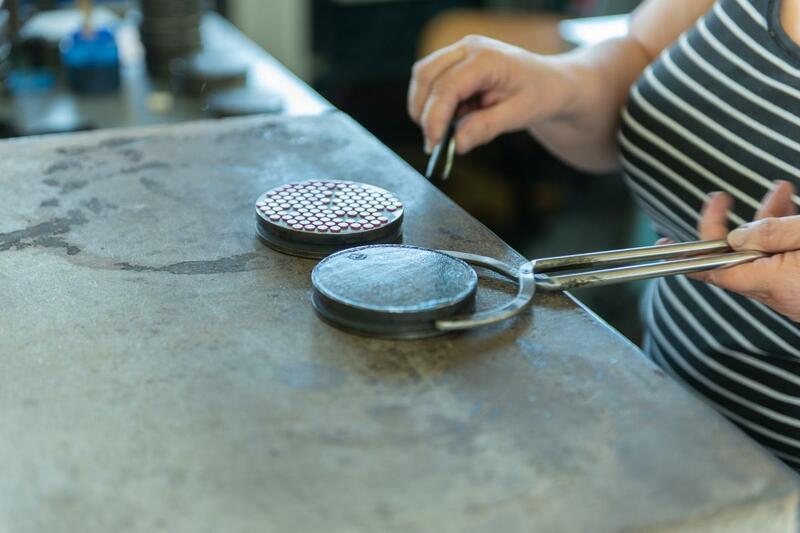 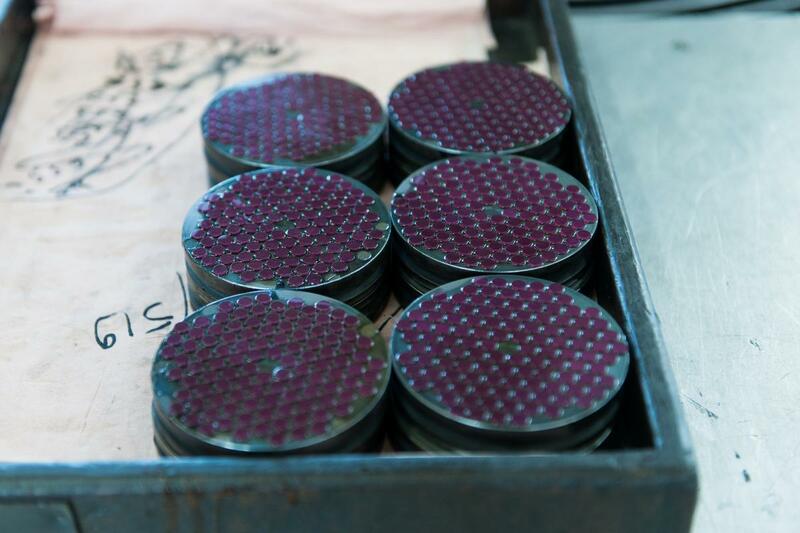 We carry out the enlarging of holes to +/- 2 μ and outside diameter to +/- 3 μ guaranteeing the concentricity in the 5 μ on ruby and sapphire pieces. 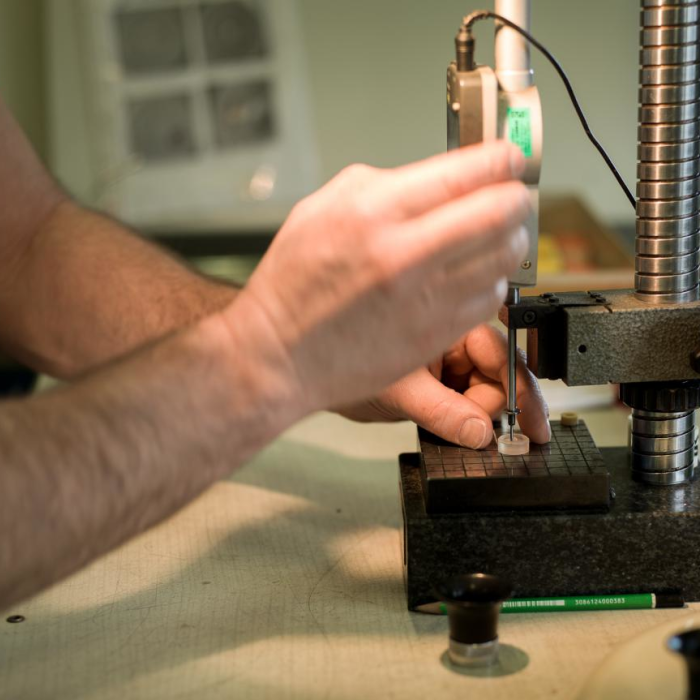 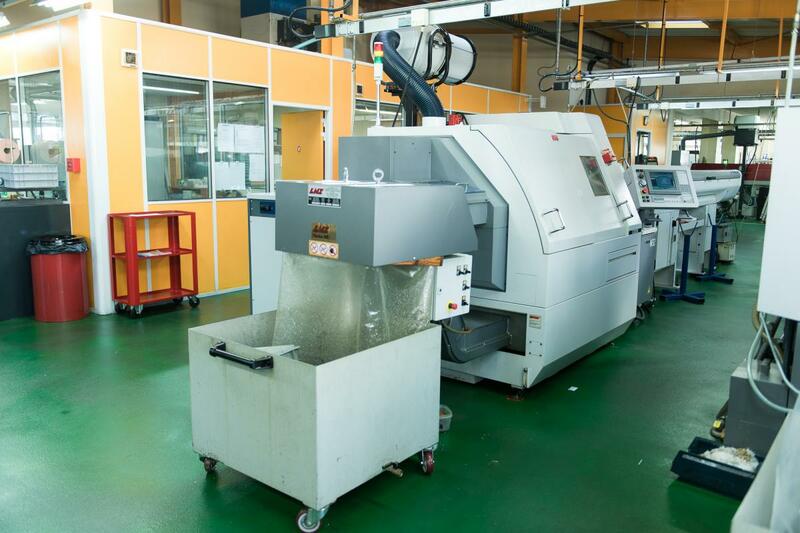 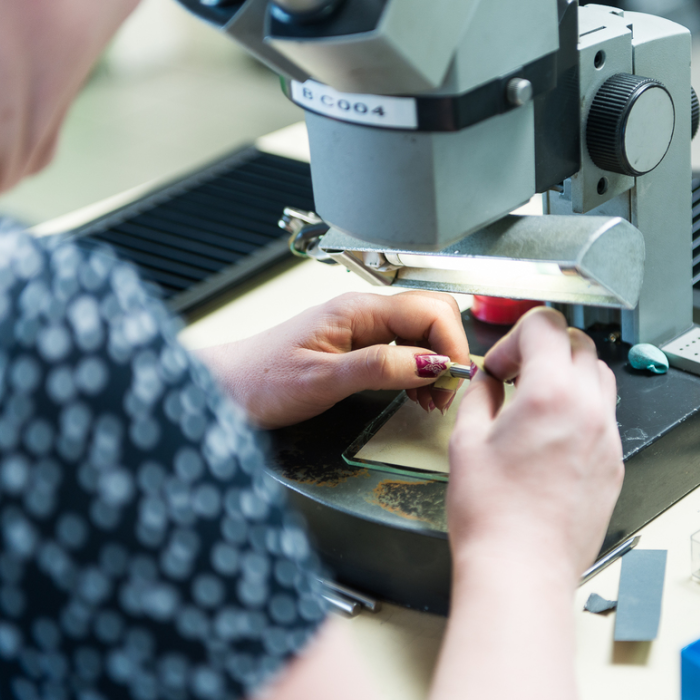 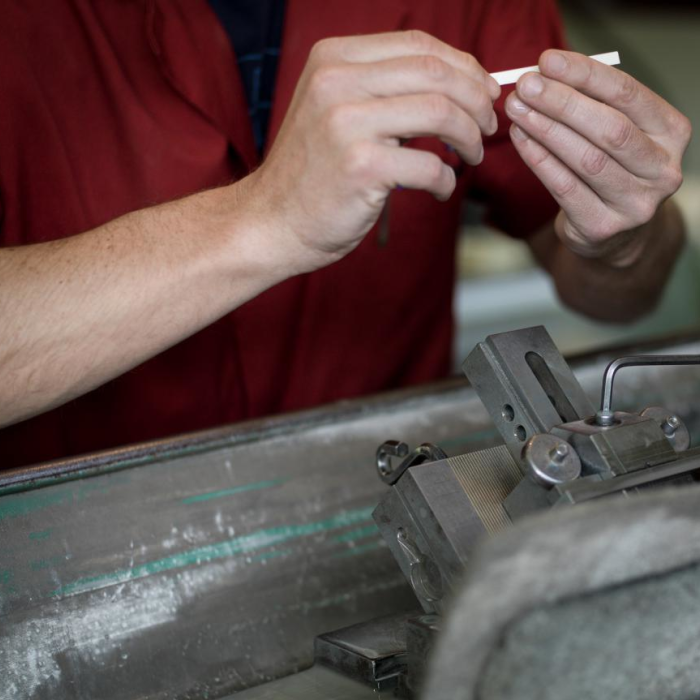 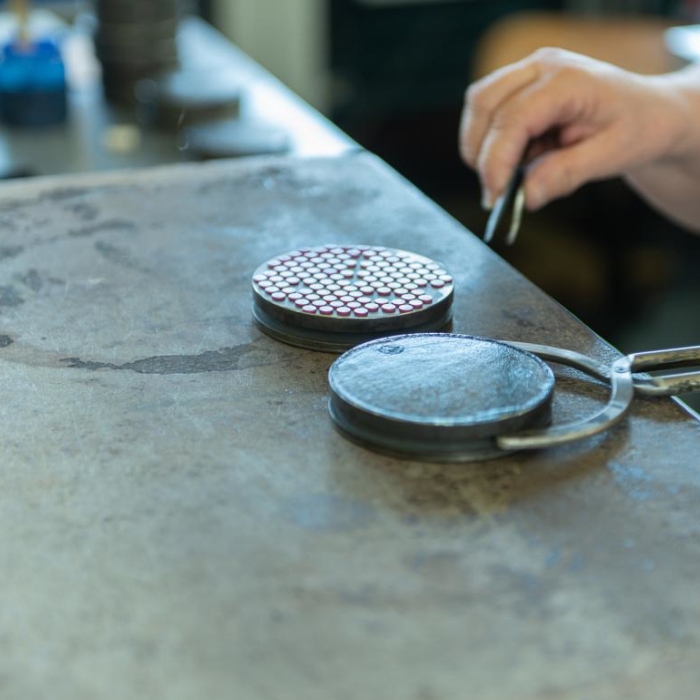 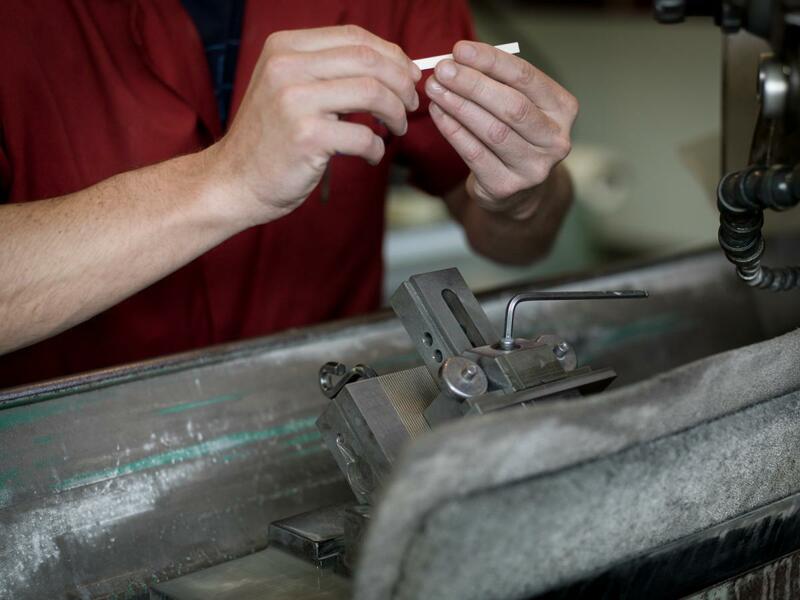 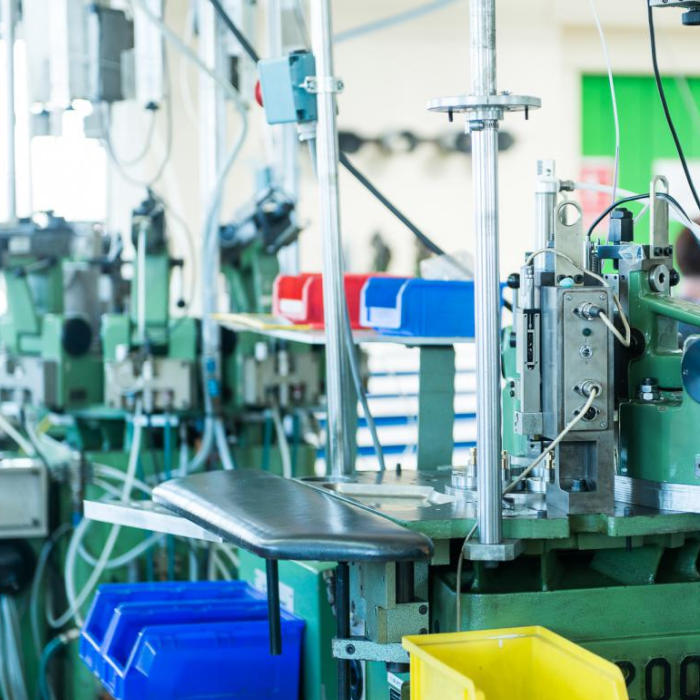 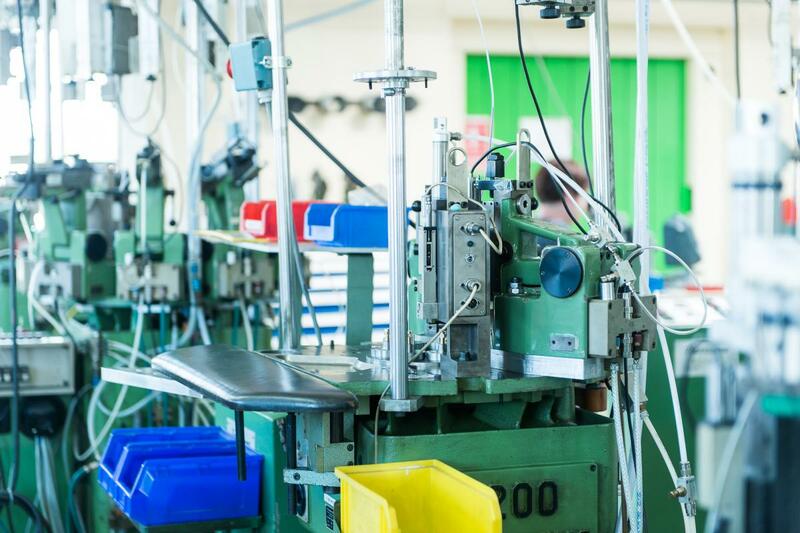 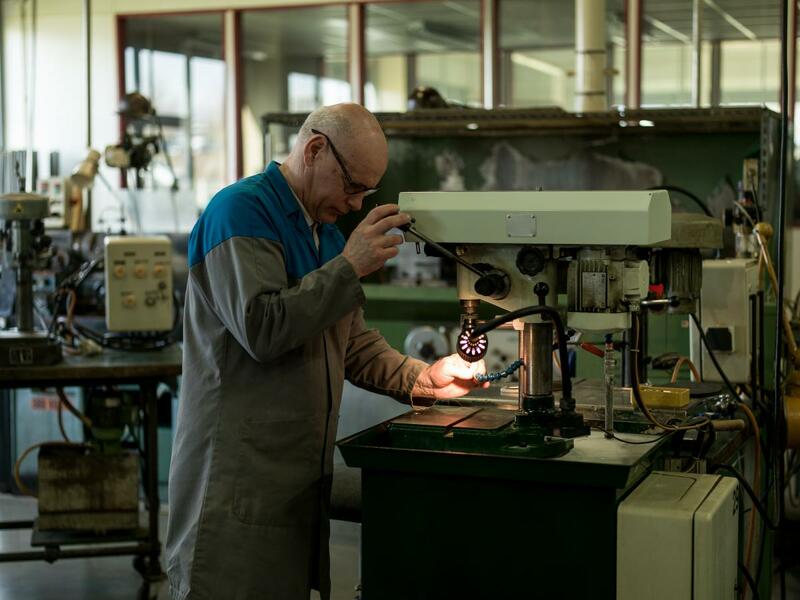 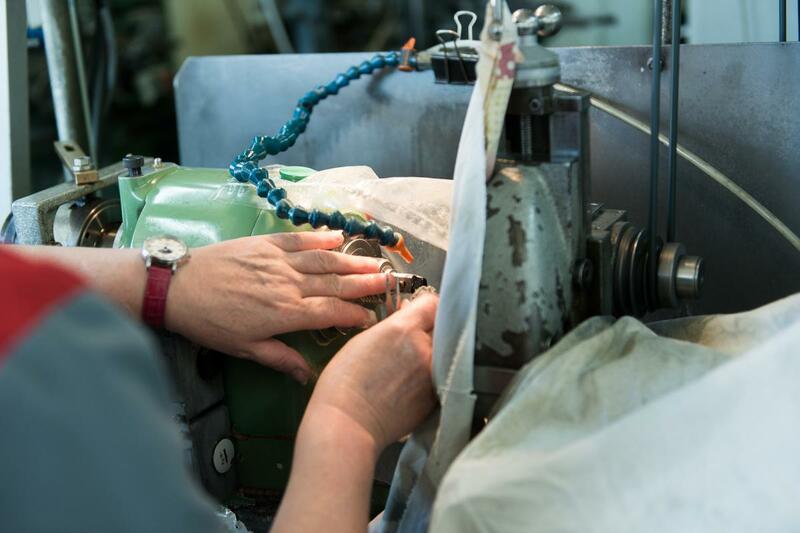 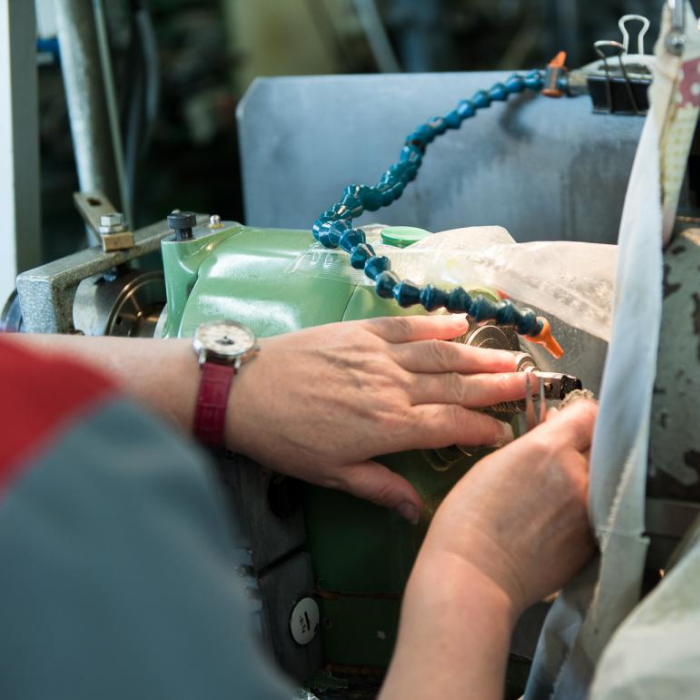 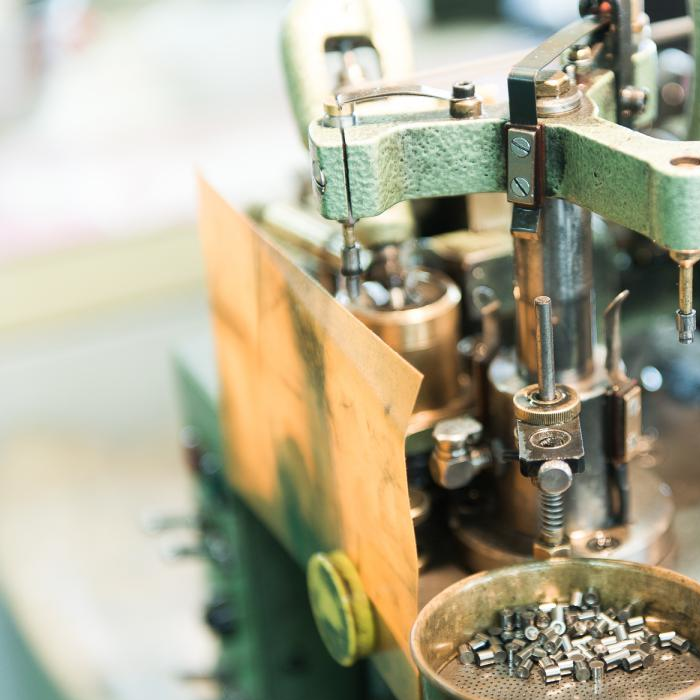 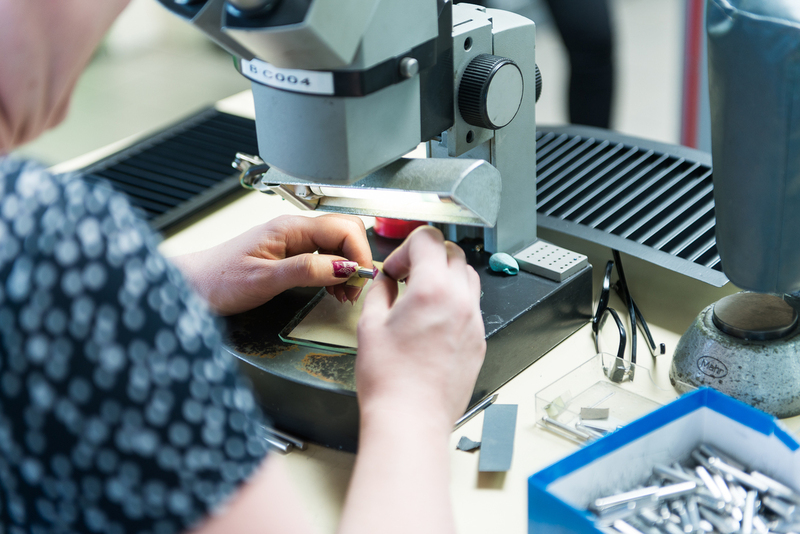 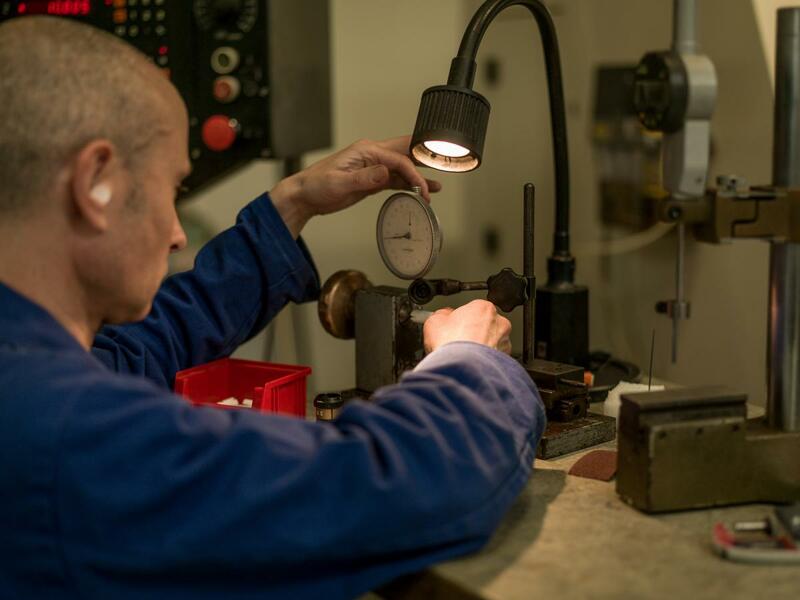 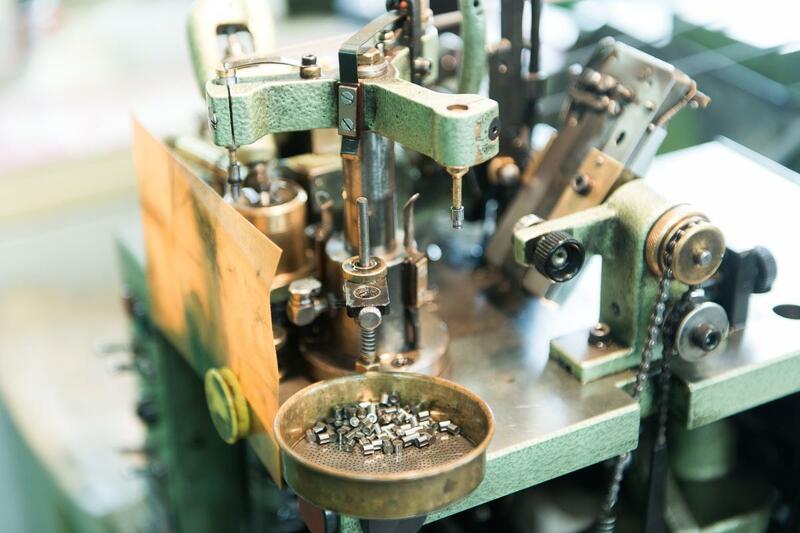 We carry out polishing on automatic machines from standard quality to optical quality.